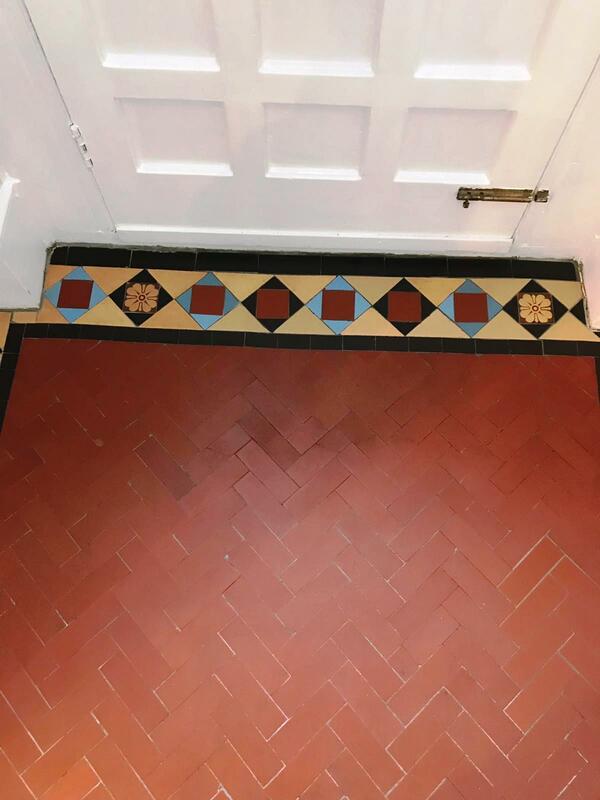 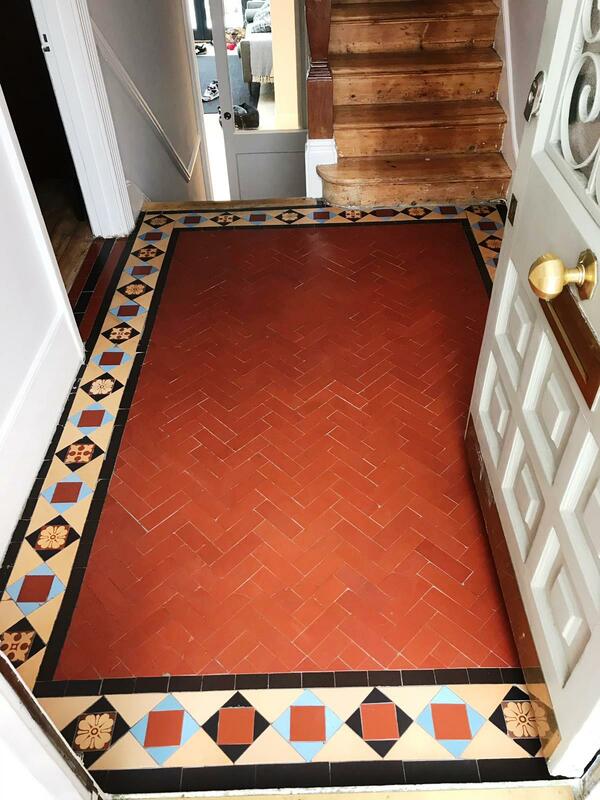 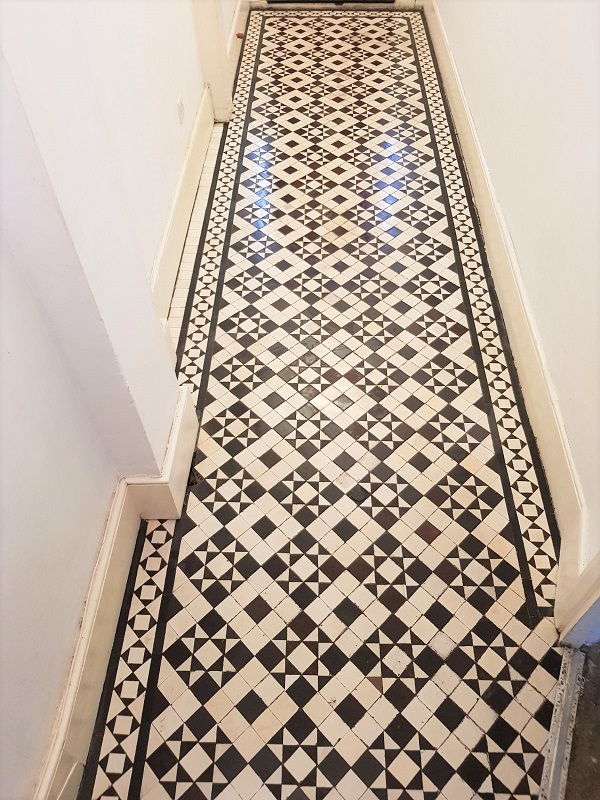 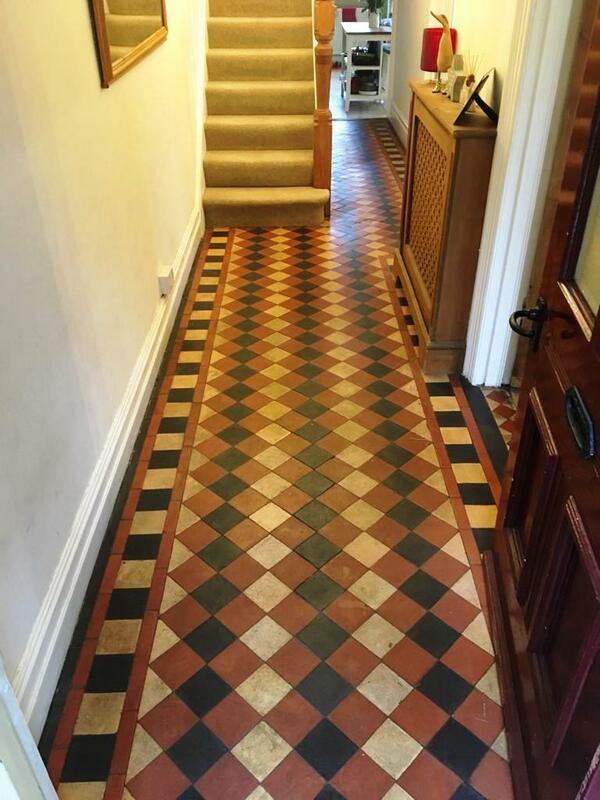 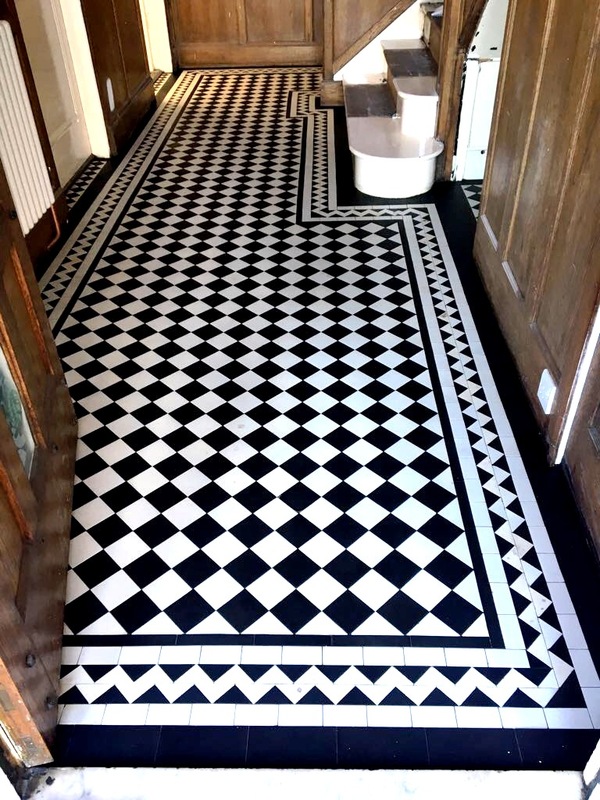 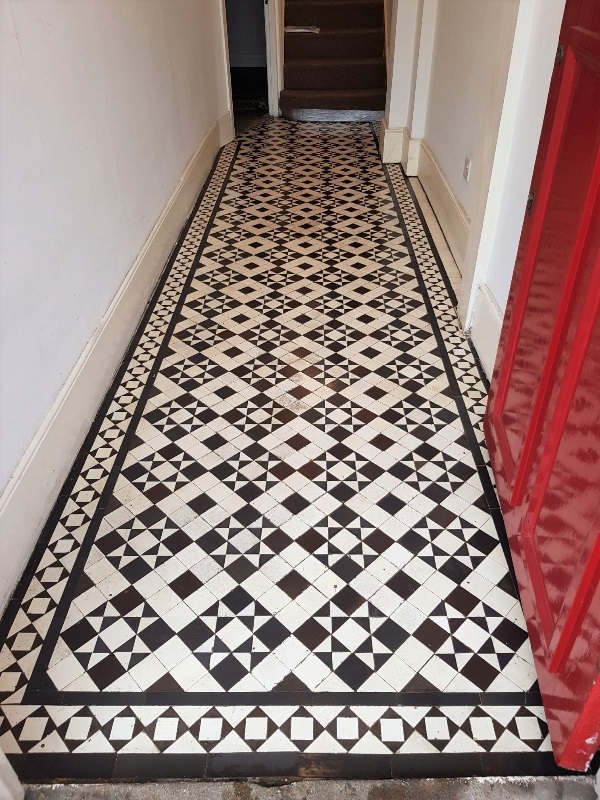 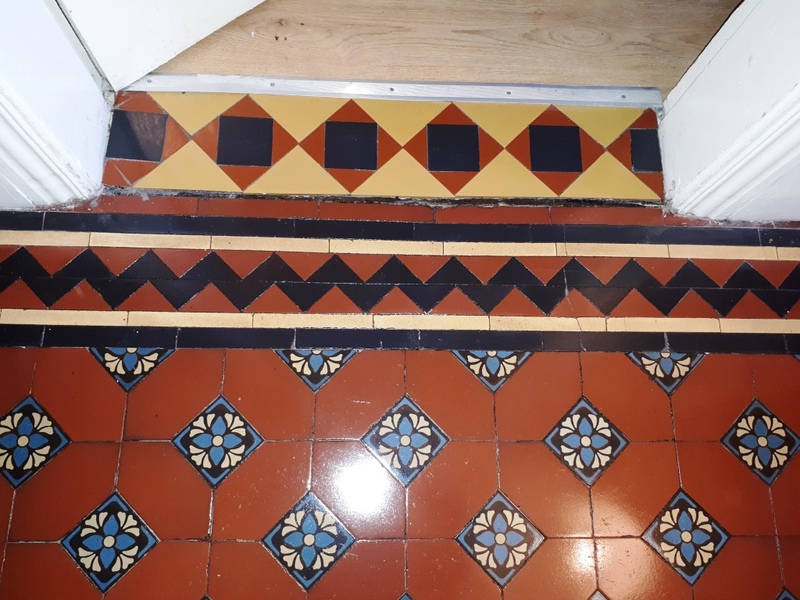 This lovely Victorian tiled floor was located in the hallway of a beautiful house in Abergavenny which is an old Market Town that dates back to Roman times on the outskirts of the Brecon Beacons national park. 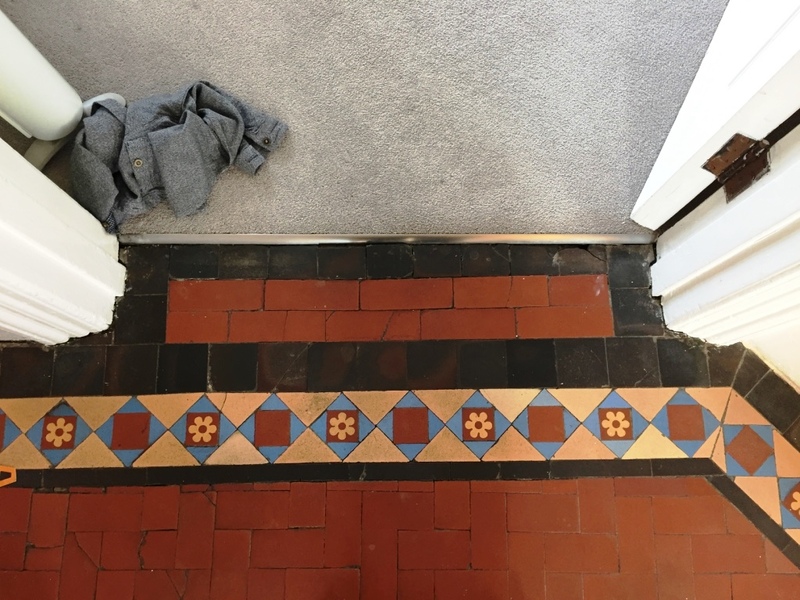 It has been sometime since it was last given a thorough clean and seal and was now in need of some TLC to give it a new lease of life and have a chance to take centre stage again. 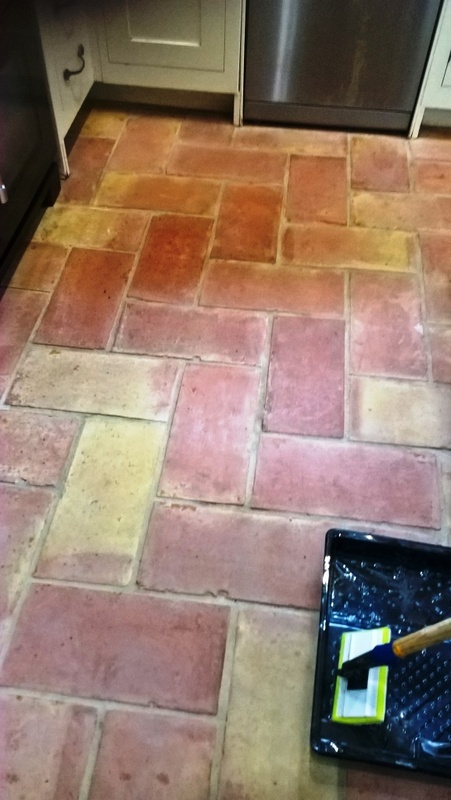 The floor was in excellent condition, but the old sealer had worn off in the high traffic areas and dirt had now penetrated the pores of the clay tiles making it difficult to maintain effectively. 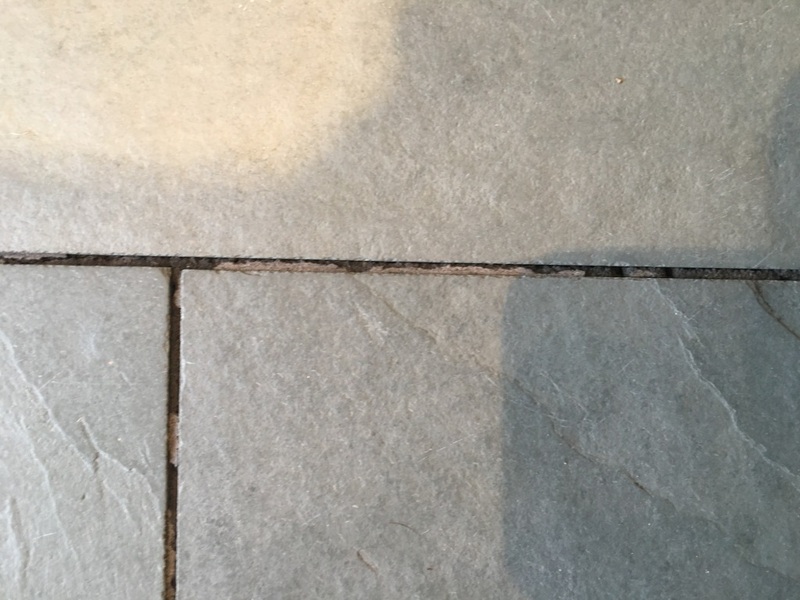 To get the tile and grout clean and remove what remained of the old sealer I applied a 50/50 mixture of Tile Doctor Pro-Clean combined with Remove and Go. 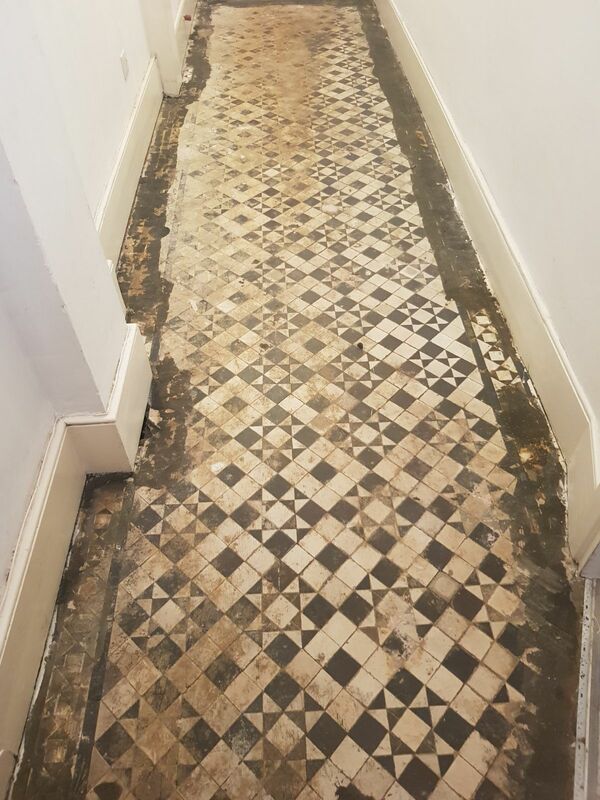 This was further diluted with water and applied to the floor for ten minutes, so it could soak into the tile and get to work breaking down the old sealers and dirt. 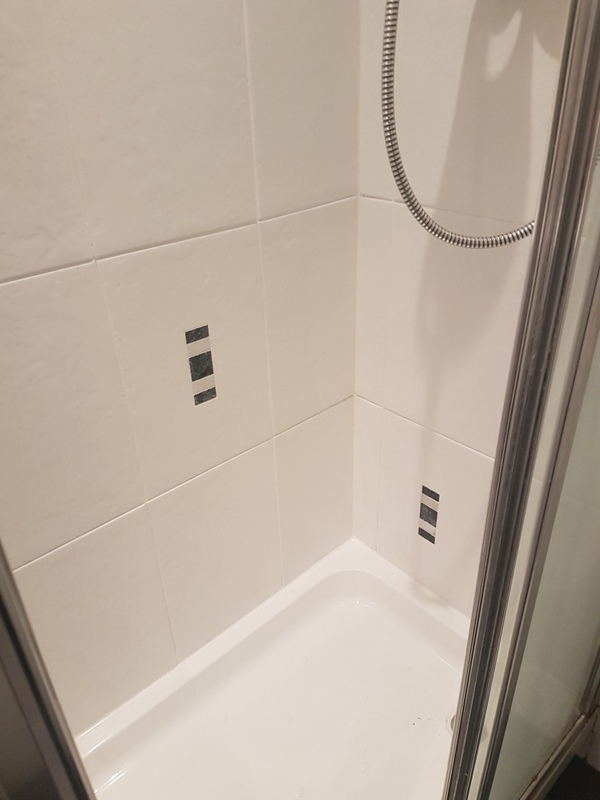 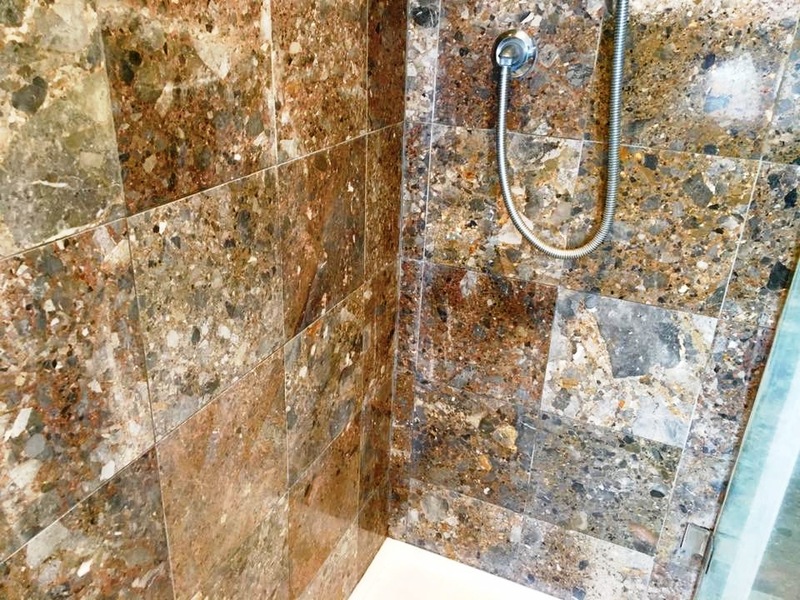 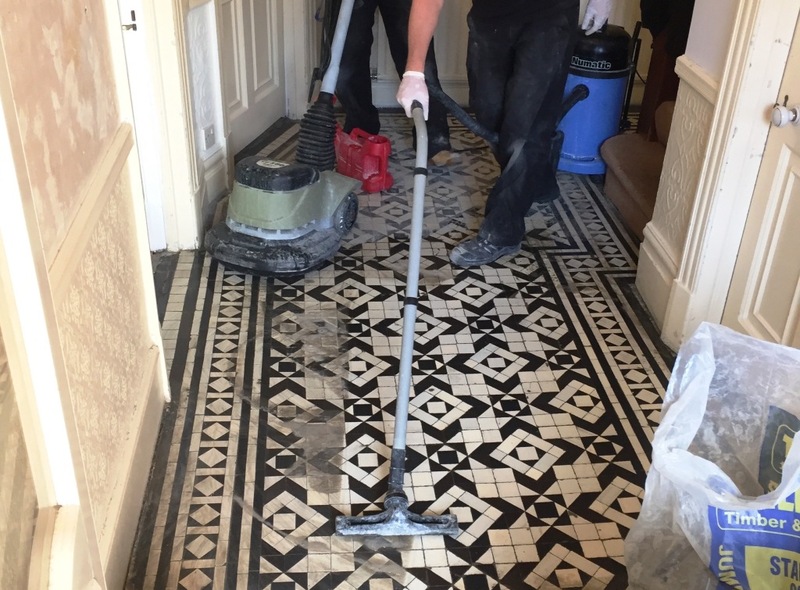 The solution was then worked into the tile and grout using a 17” black scrubbing pad fitted to a rotary buffer machine running on slow speed to reduce splashing. 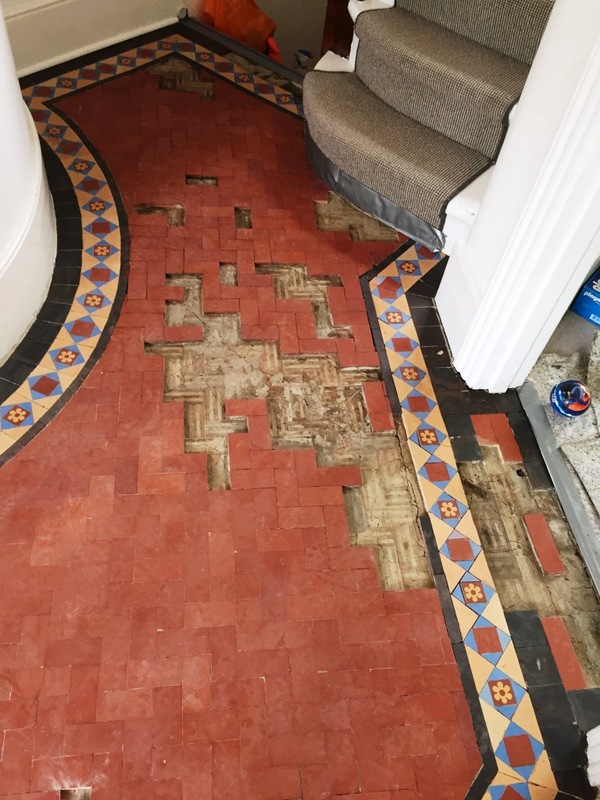 This process released the years of grime and dirt build up from the floor and a wet vacuum was used to extract the soil. 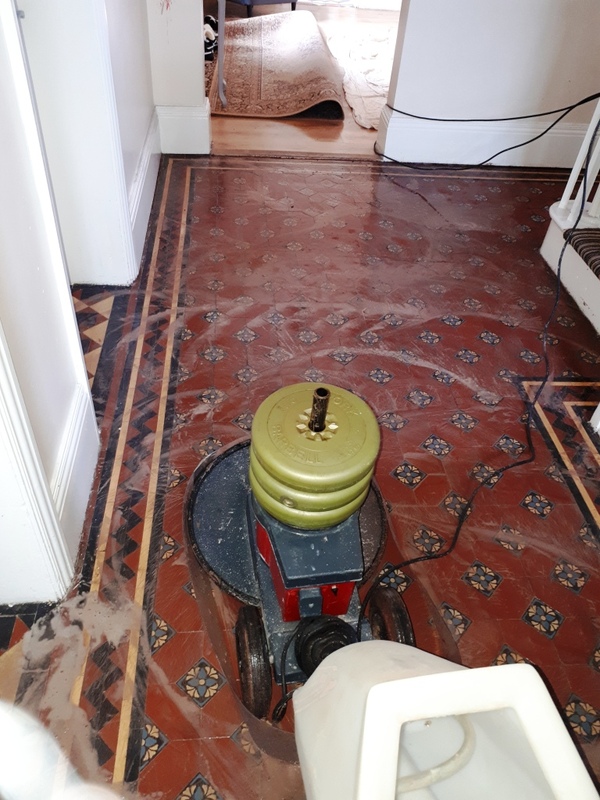 I gave the floor a rinse with water which was then removed using the wet vacuum and the floor inspected to ensure it was clean and that what was let of the old sealer was now removed. 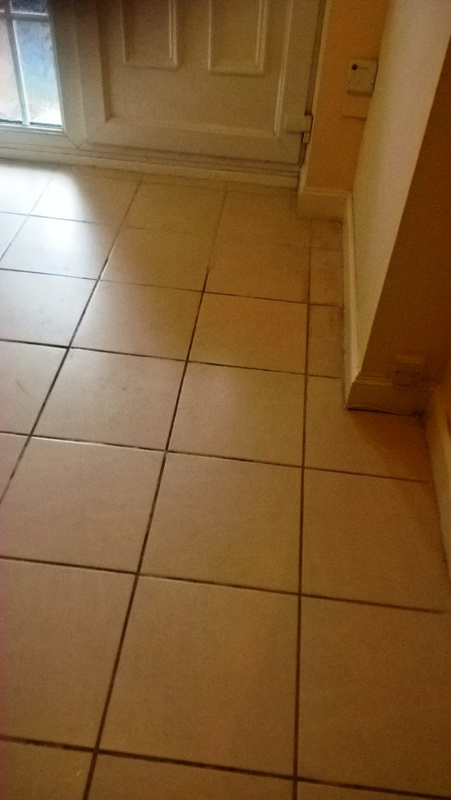 There were a few stubborn areas than needed attention, so the treatment was repeated until I was satisfied. 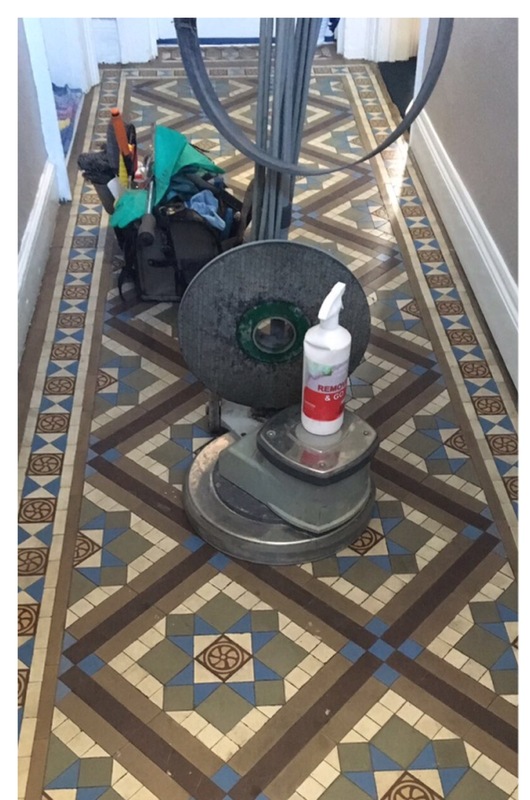 The floor was then given a thorough rinse to remove any trace of cleaning products and then dried with the wet vacuum to remove as much moisture as possible. 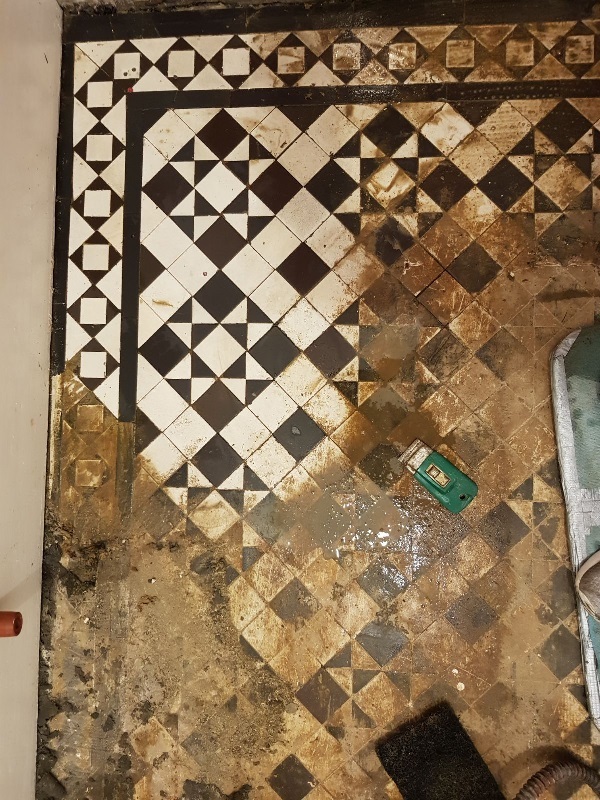 It’s not wise to apply sealer when the floor is still damp so once I was done cleaning I left for the day so that is could dry off fully overnight. 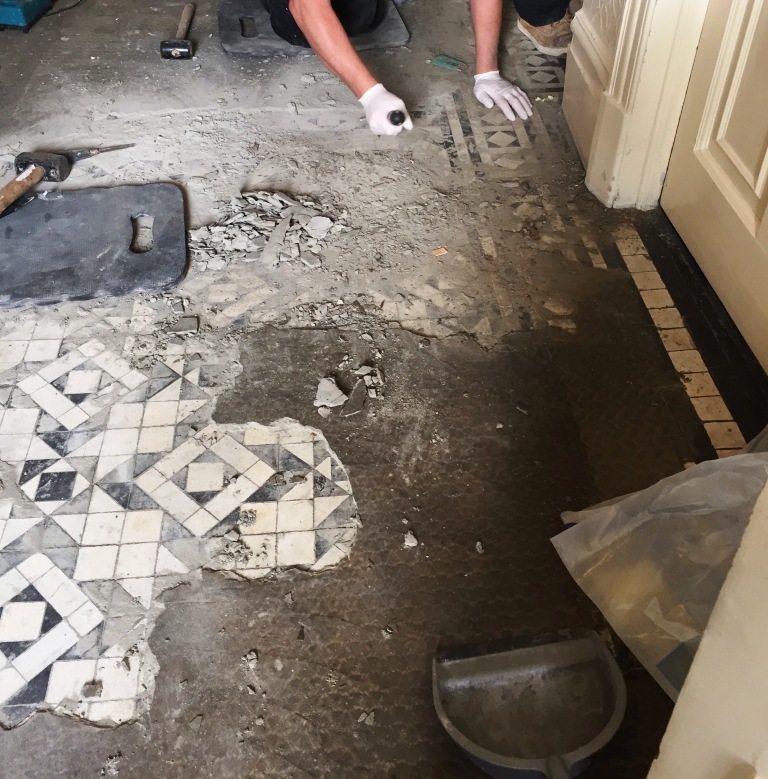 My first task upon returning to the property the next day was to check for any dampness. 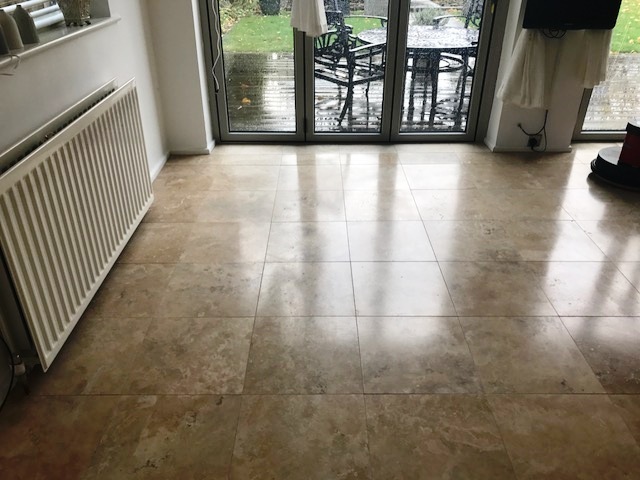 If you neglect to remove all excess moisture from the surface of the tiles before sealing it is more than likely going to cloud the sealer, rendering it less effective I’m protecting the stone against ingrained dirt and stains. 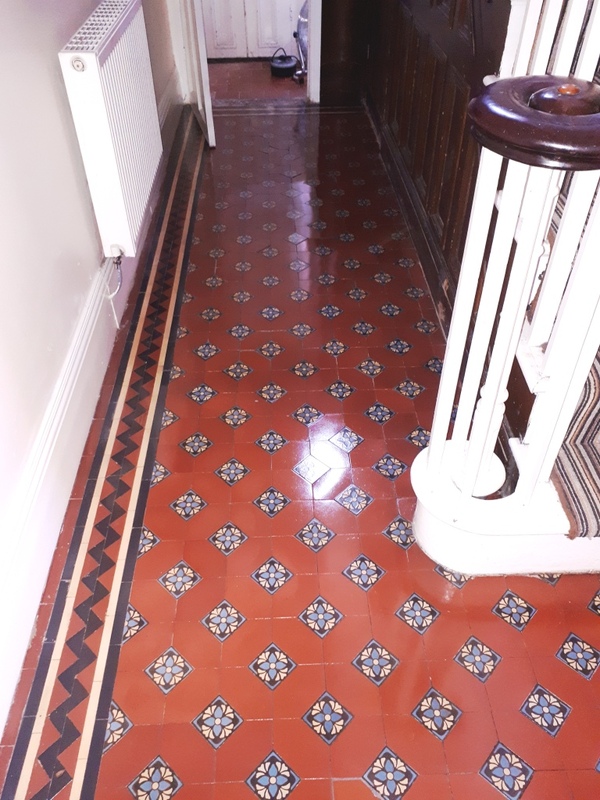 Once satisfied that the floor was completely dry I was able to complete the renovation by applying several coats of Tile Doctor Seal and Go which is a topical sealant that works really well on Victorian tiles and leaves a lovely satin finish that brings out the colours. 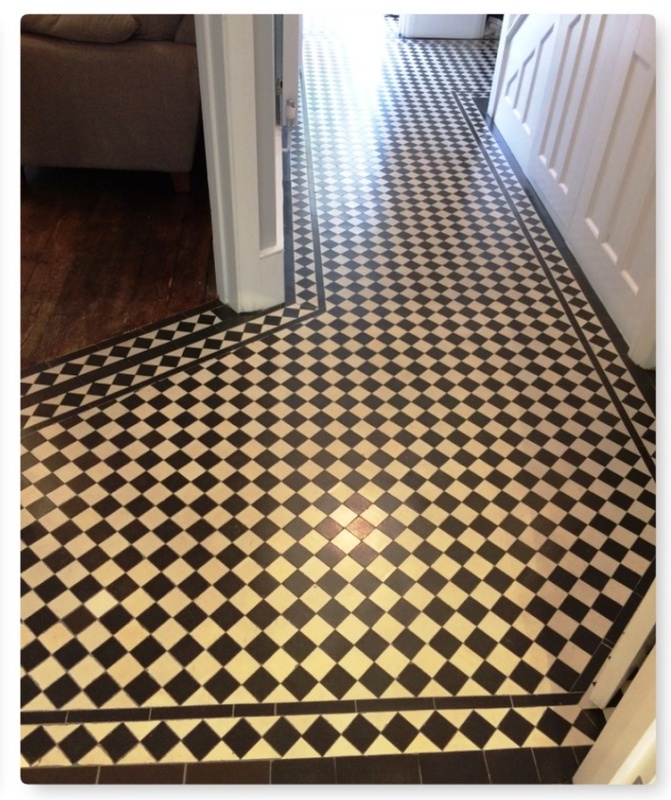 My customer was very pleased with the outcome and left the following comment on the Tile Doctor feedback system. 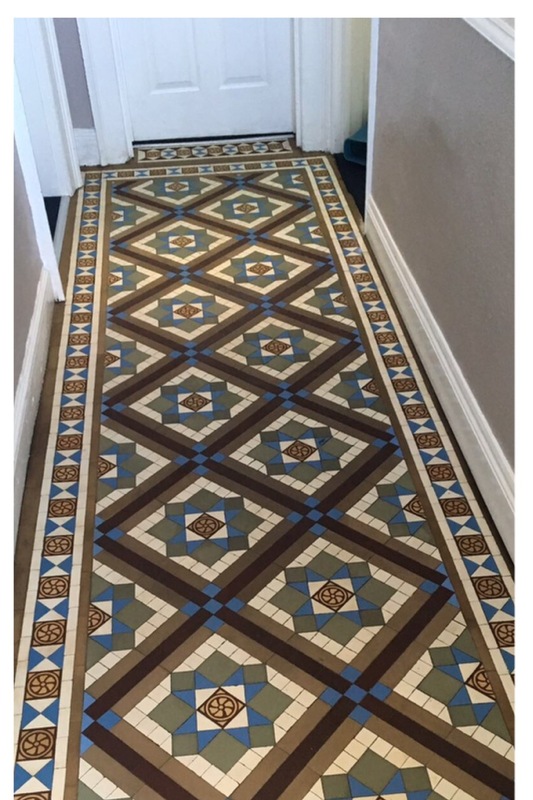 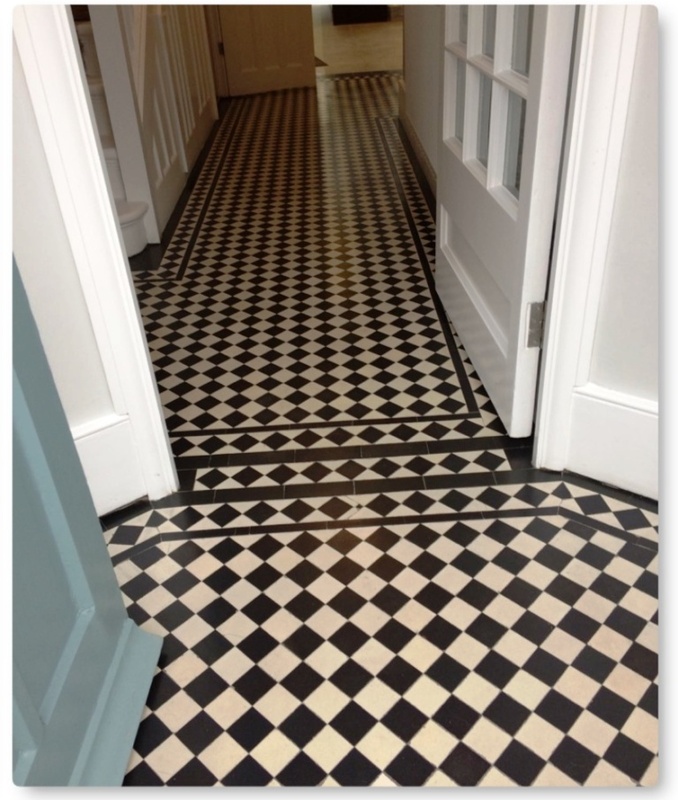 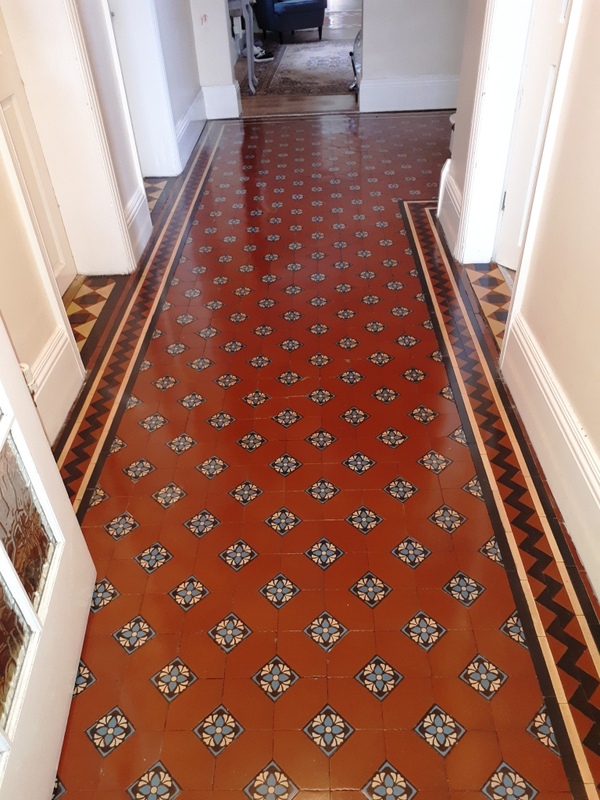 Paul was very professional and did a fantastic job with our Victorian tiled hallway. 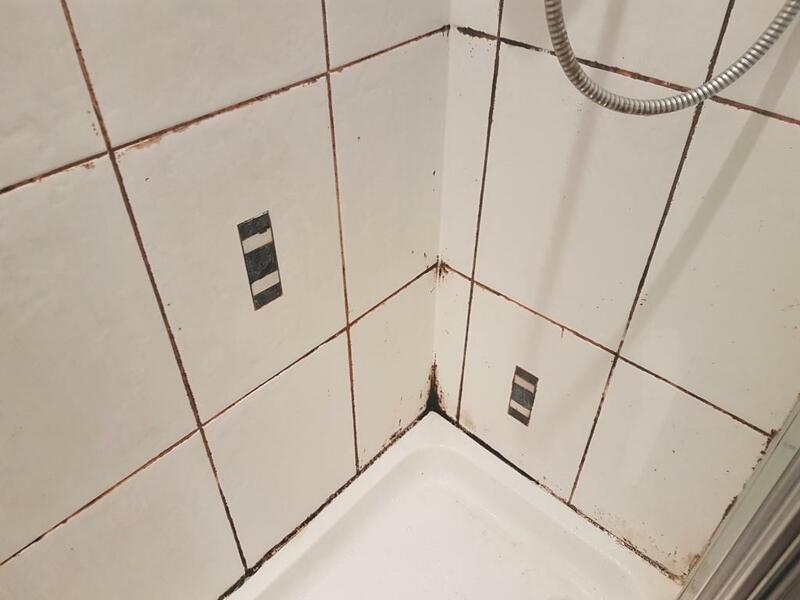 It looks so much better. 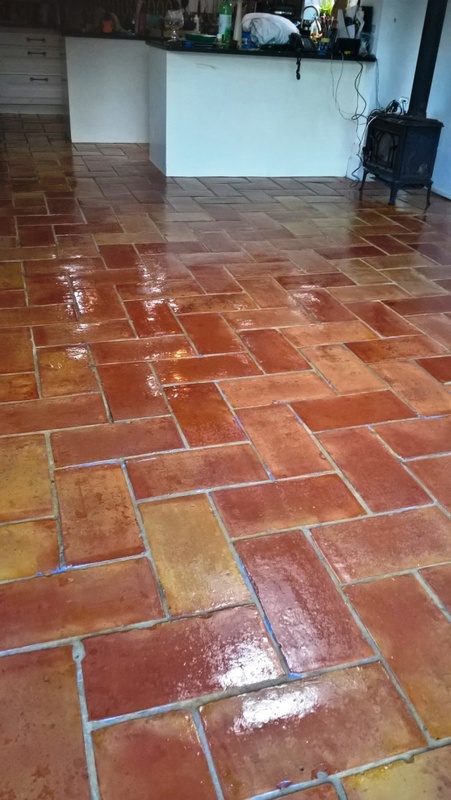 I would definitely recommend Tile doctor to anyone needing cleaning or restoring of tiles. 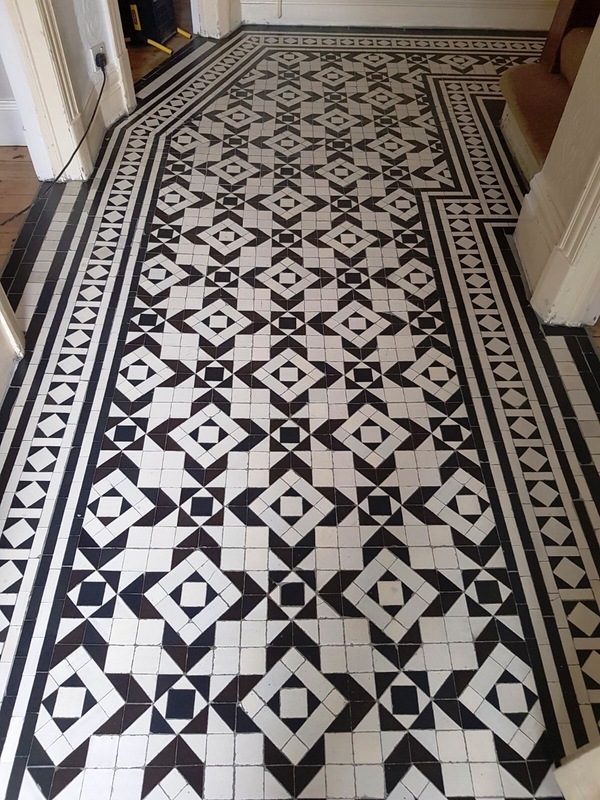 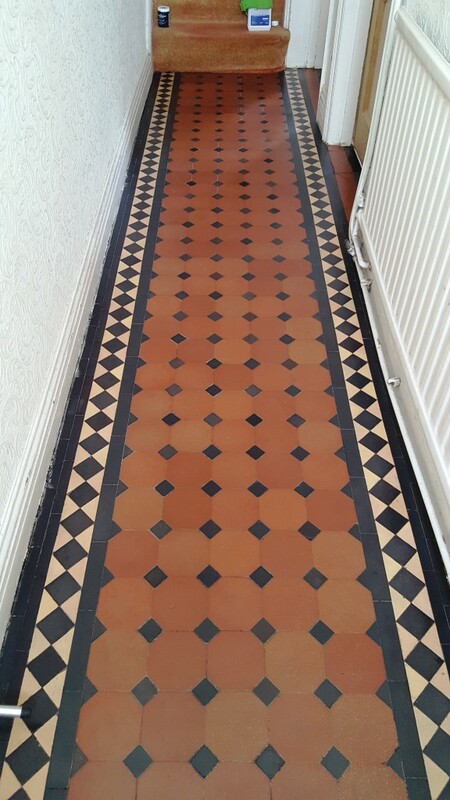 Pictures below of an original Edwardian Tiled Hallway at a house in Crouch End, North London. 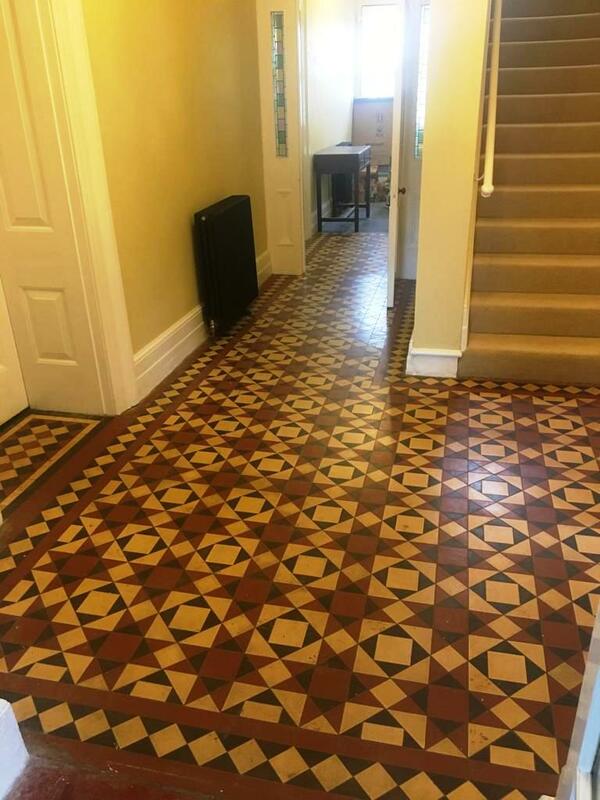 Victorian and Edwardian properties are quite common in the area which actually dates to the 13th Century and is often used in the filming of East Enders. 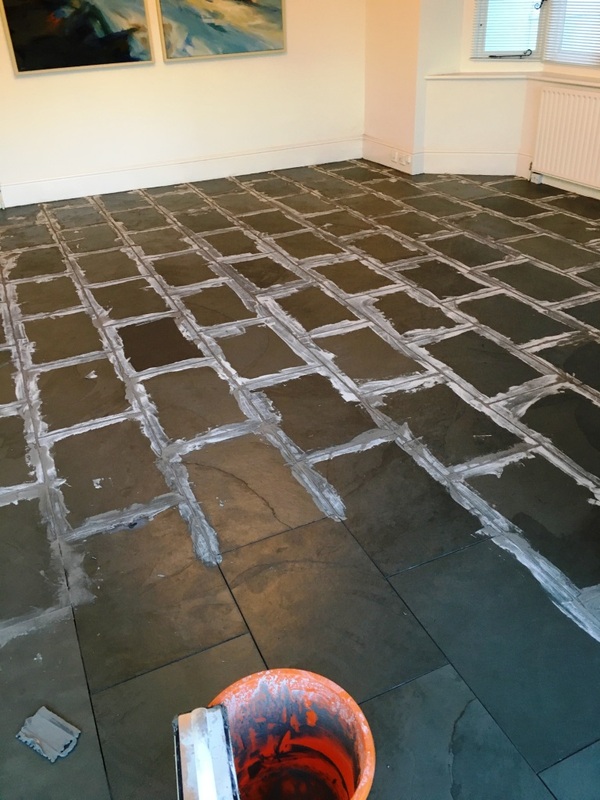 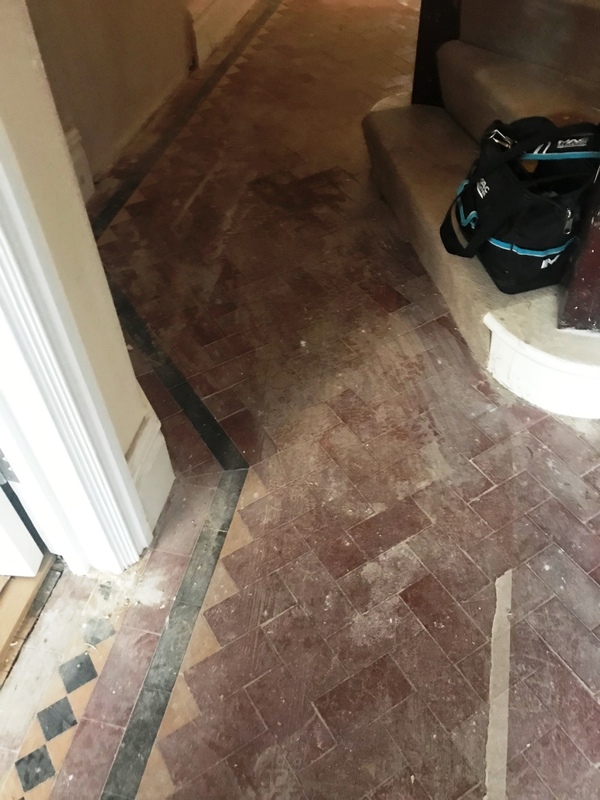 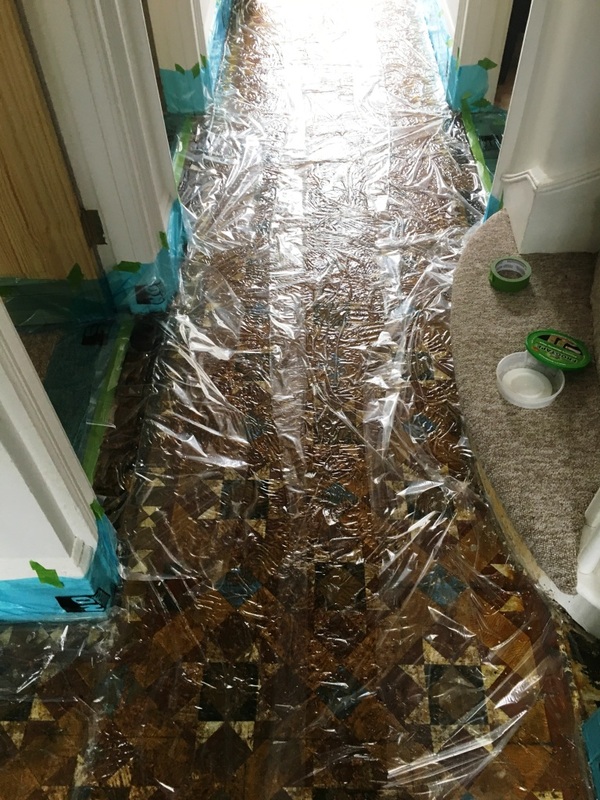 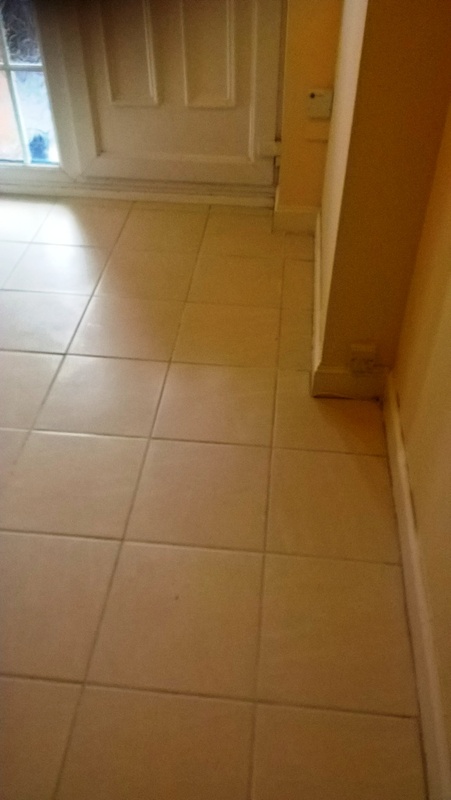 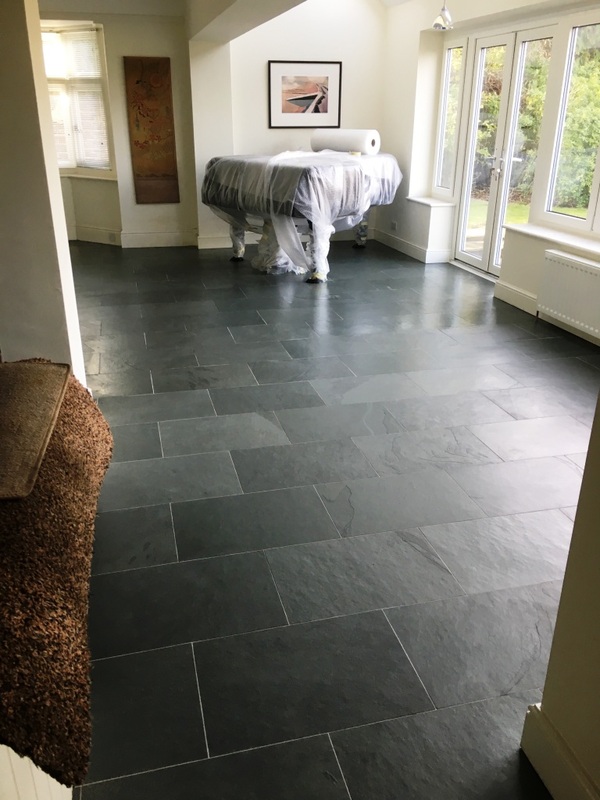 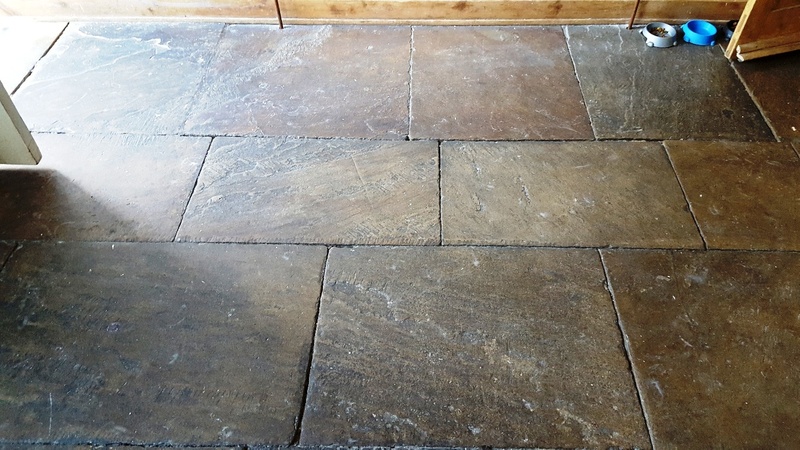 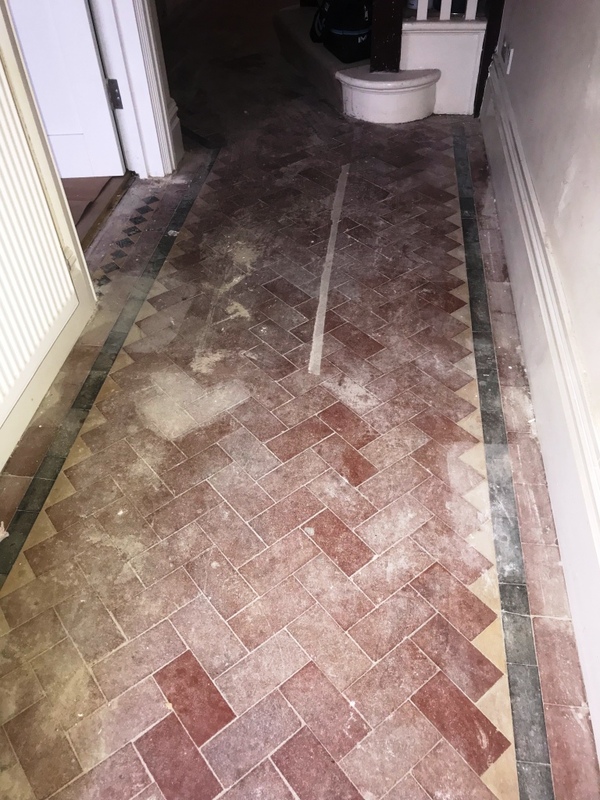 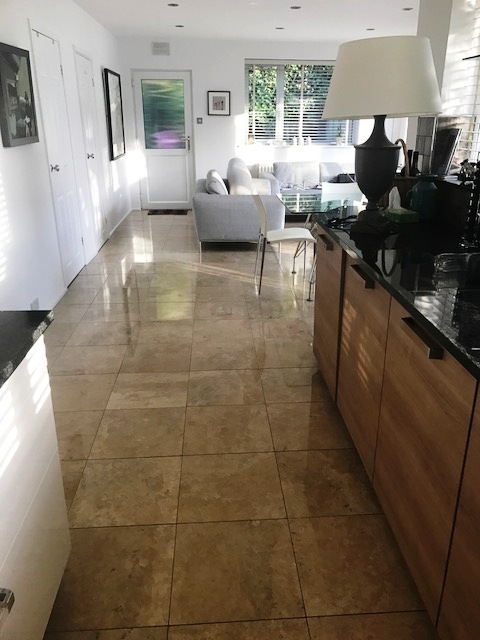 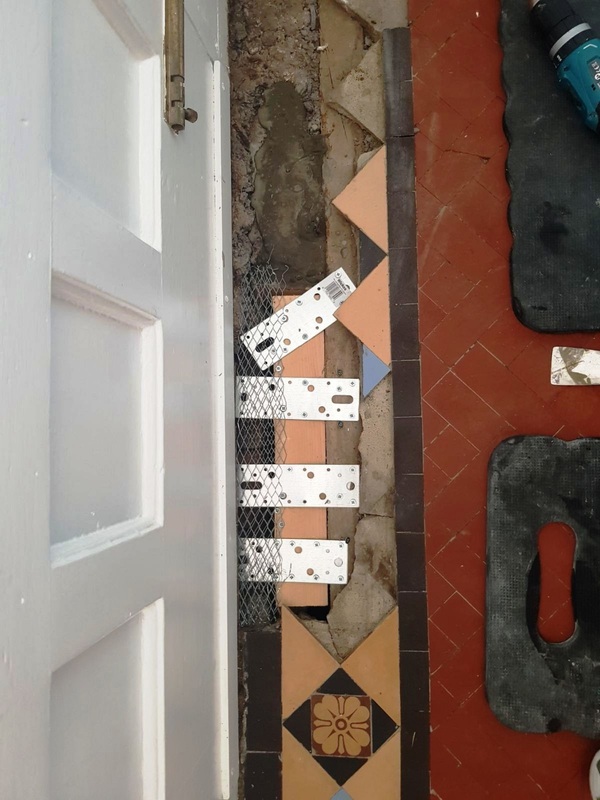 We were called in to look at restoring the floor back to its former glory and when inspecting and surveying the floor we found large sections of tiles that were loose and three doorway thresholds that required rebuilding and re-tiling. 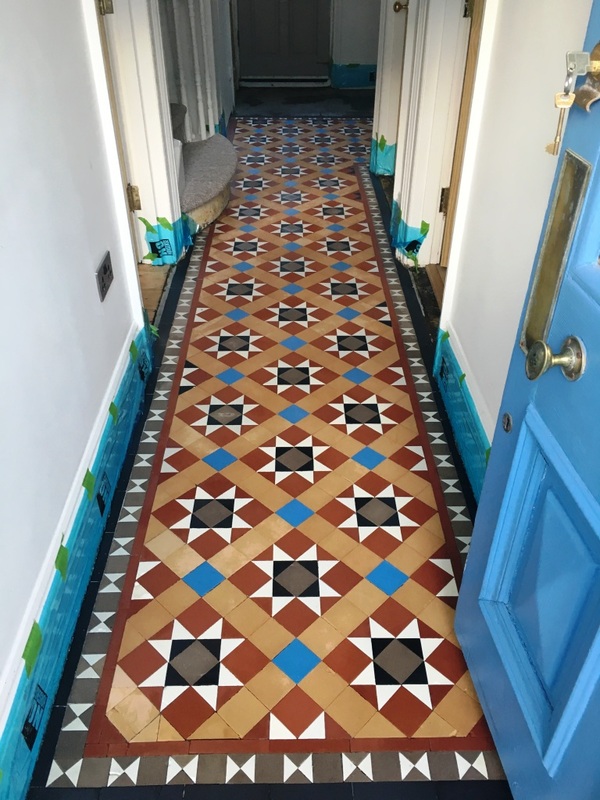 If you have been following our website posts, you will know this is something we specialise in, so we were more than happy to help. 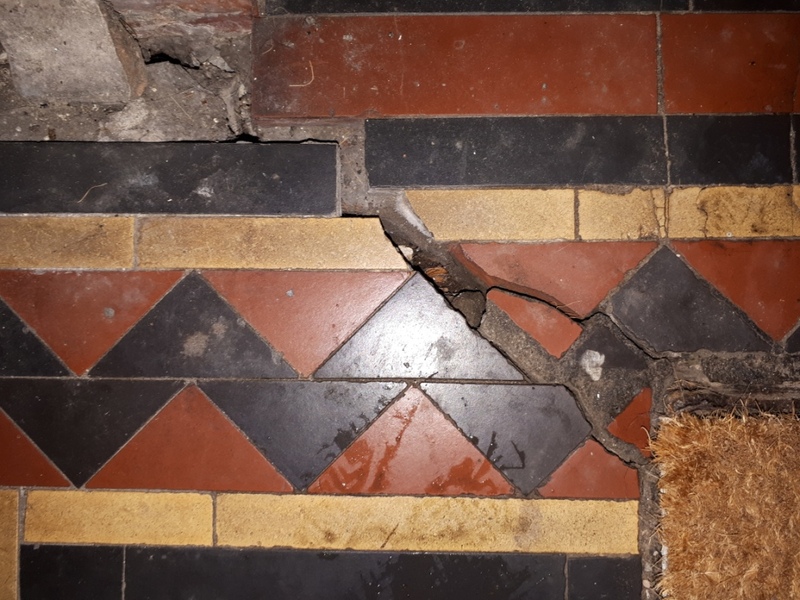 Before cleaning the floor our first task was to remove the loose, damaged, cracked and broken tiles. 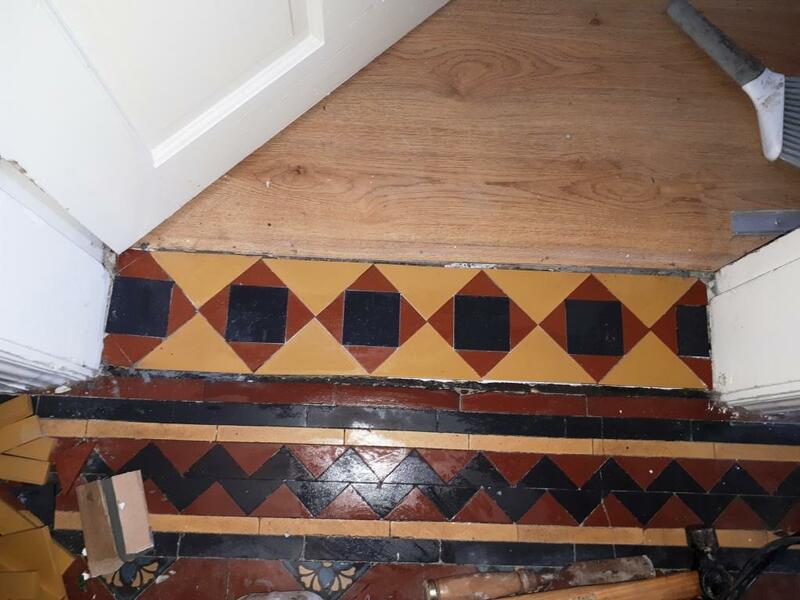 These were set aside and those that could be re-used were cleaned prior to re-laying. 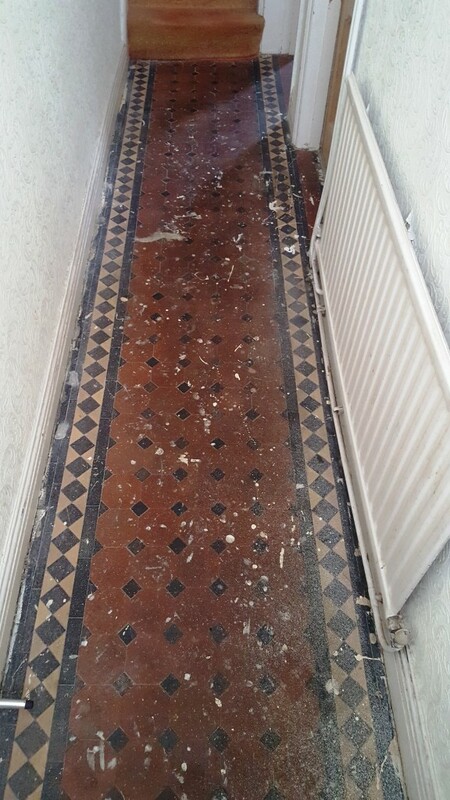 The remaining tiles were then cleaned using Tile Doctor Remove & Go to remove the old waxes and seals. 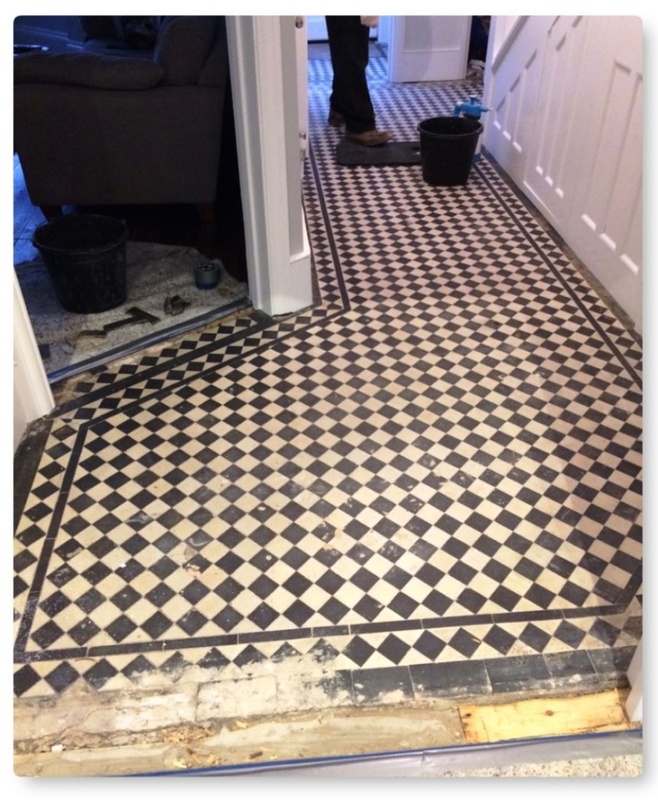 Over the course of three days we worked in small areas of about a metre square at a time. 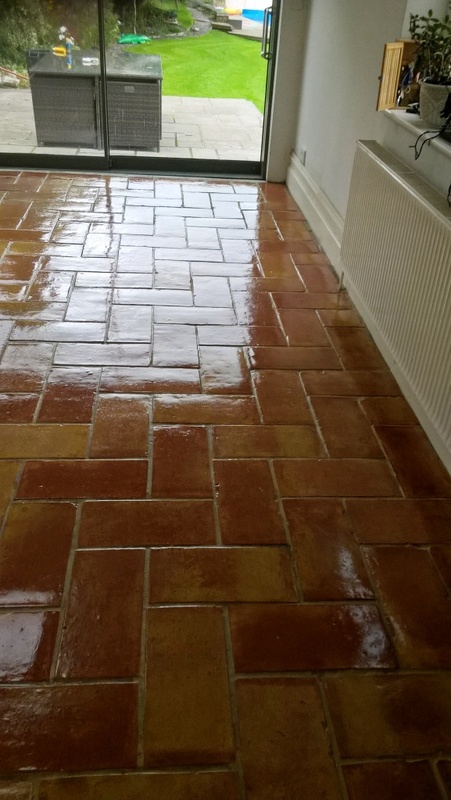 After cleaning the tiles were then fully rinsed and steam cleaned and left to dry. 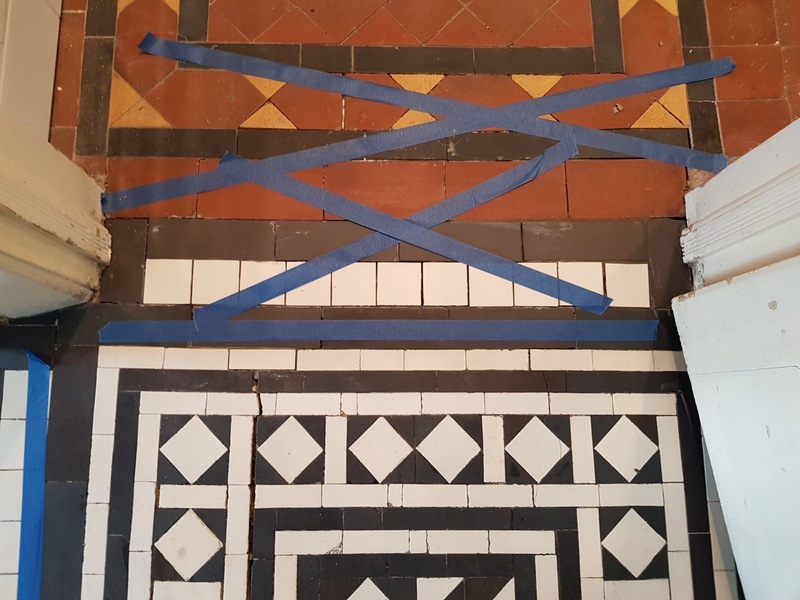 In the meantime, we began the repairs to the thresholds and central part of the floor. 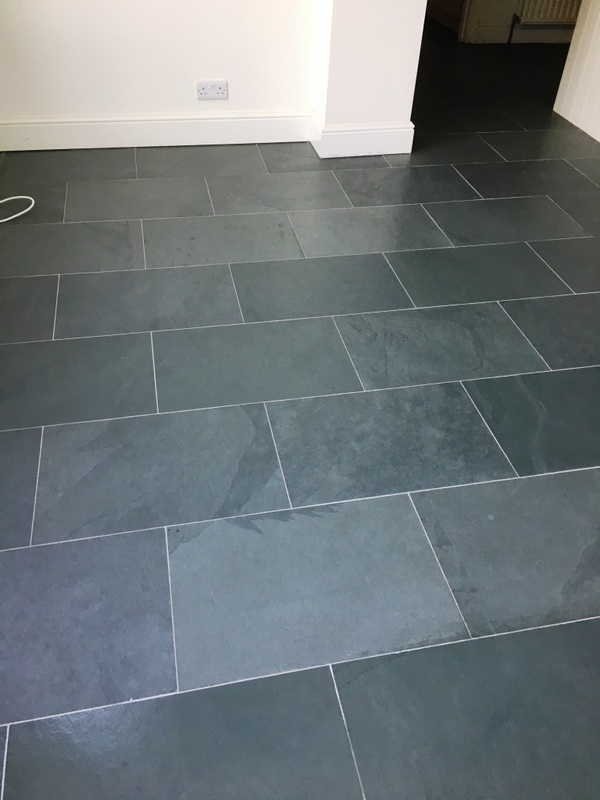 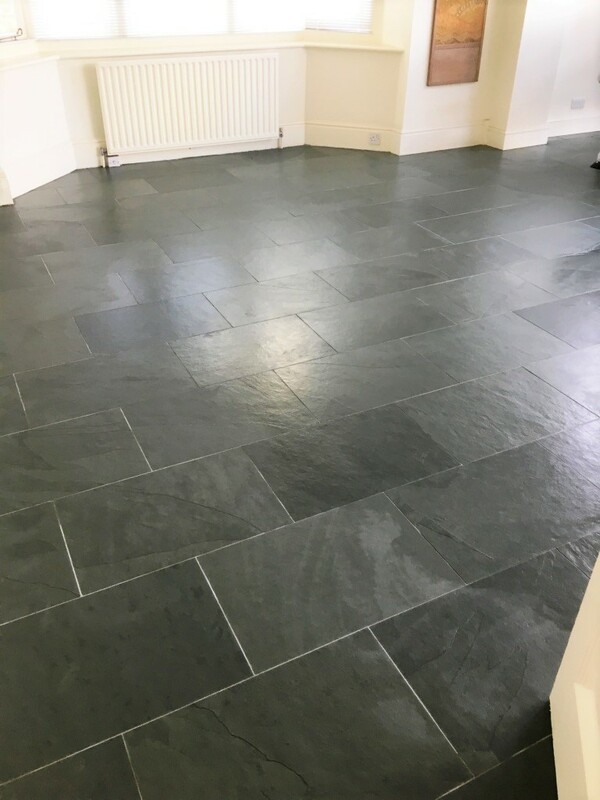 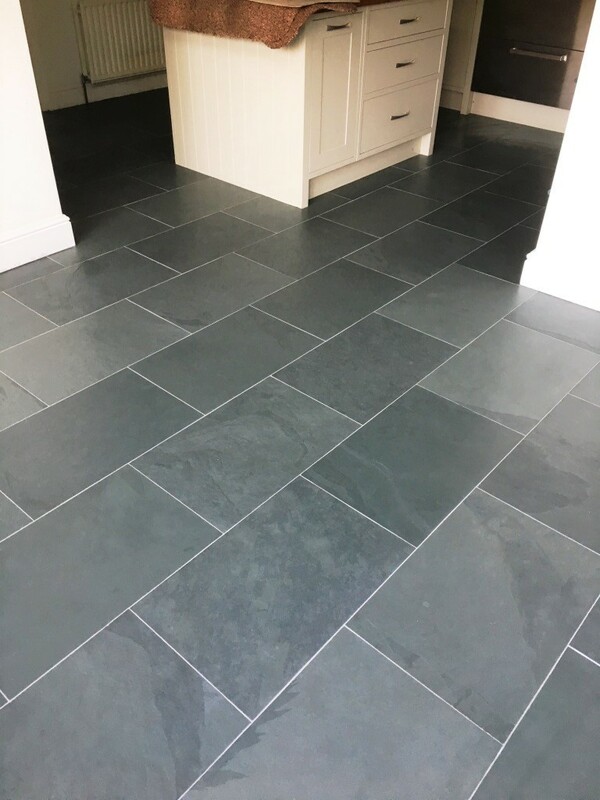 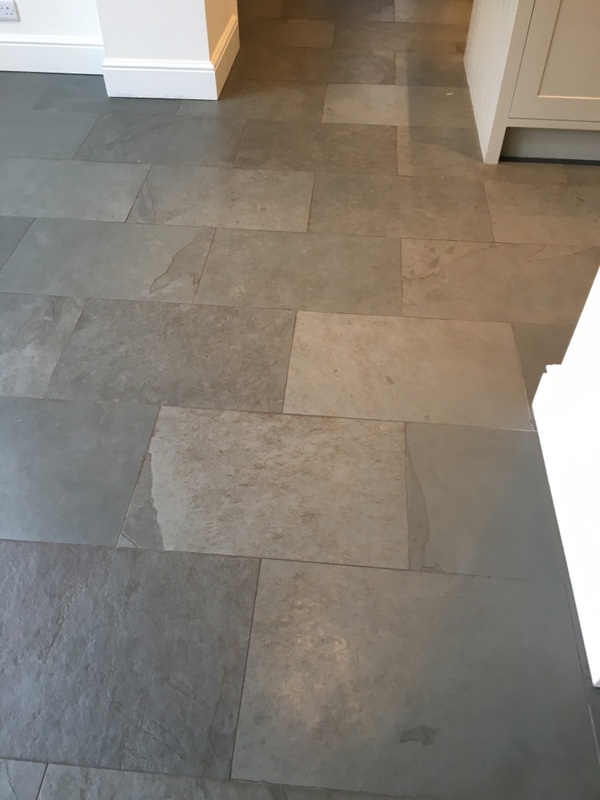 After the installation of the new and reclaimed tiles the floor was re grouted using Mapei grey grout and thoroughly cleaned and left to dry overnight. 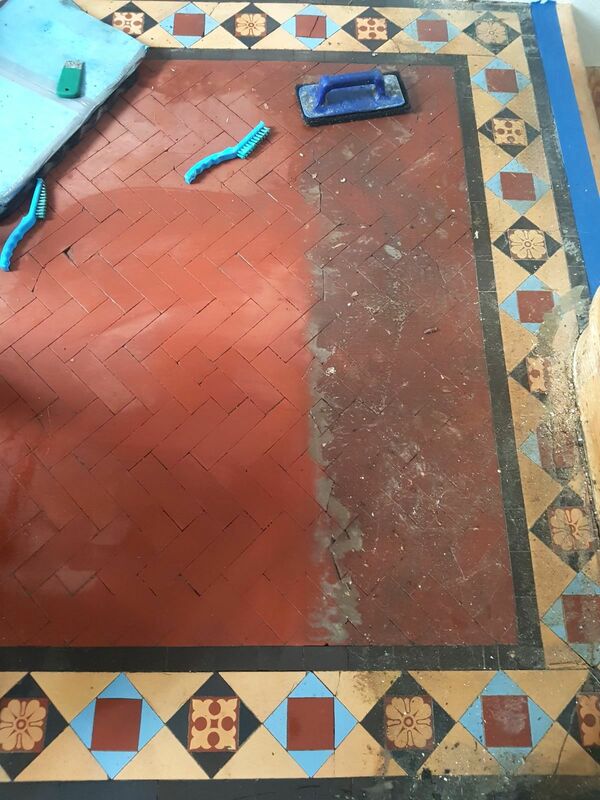 We returned the next day to seal the floor, first checking to ensure the tiles had dried out overnight. 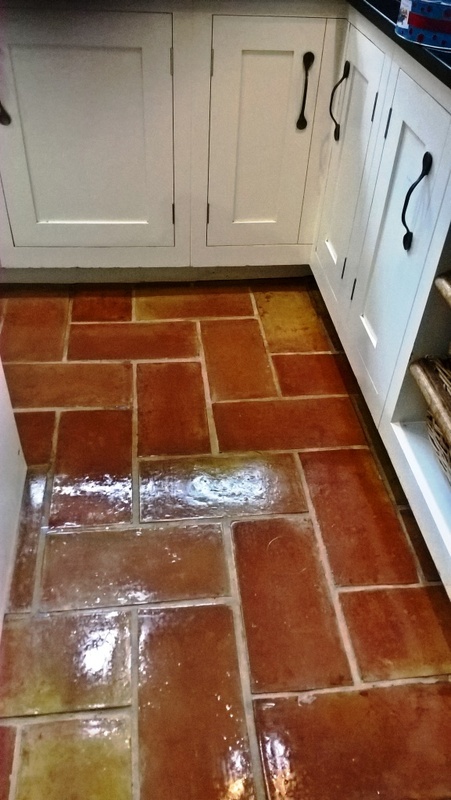 To start the sealing we applied a single coat of Tile Doctor Colour Grow and left it to dry. 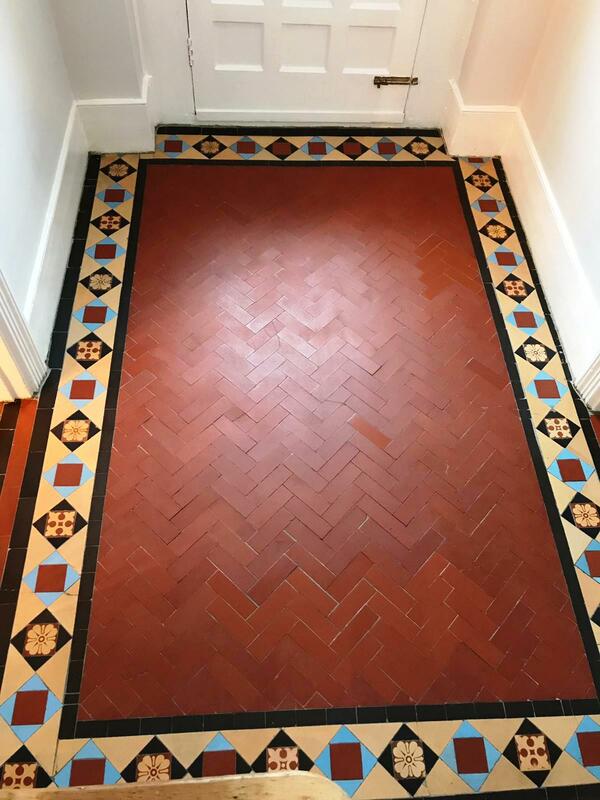 Colour Grow is an impregnating sealer that provides stain protection whilst enriching the colour of the tiles in the process. 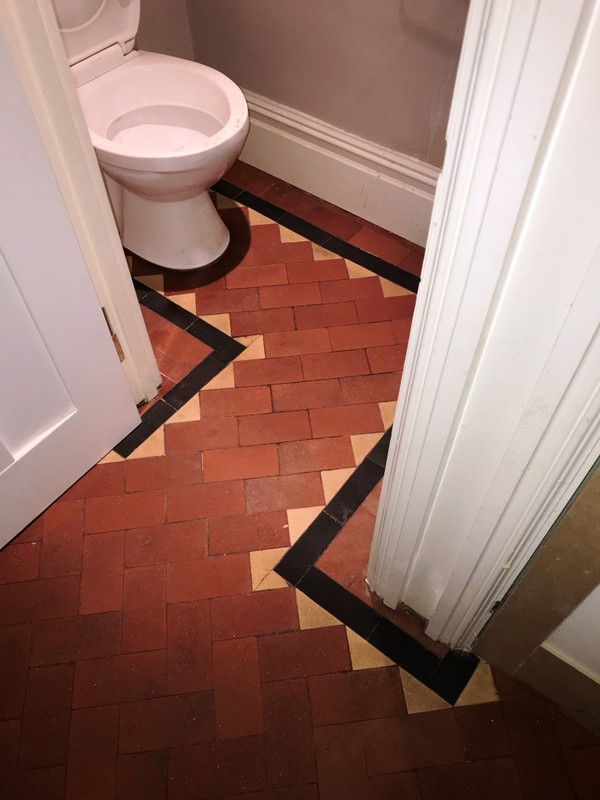 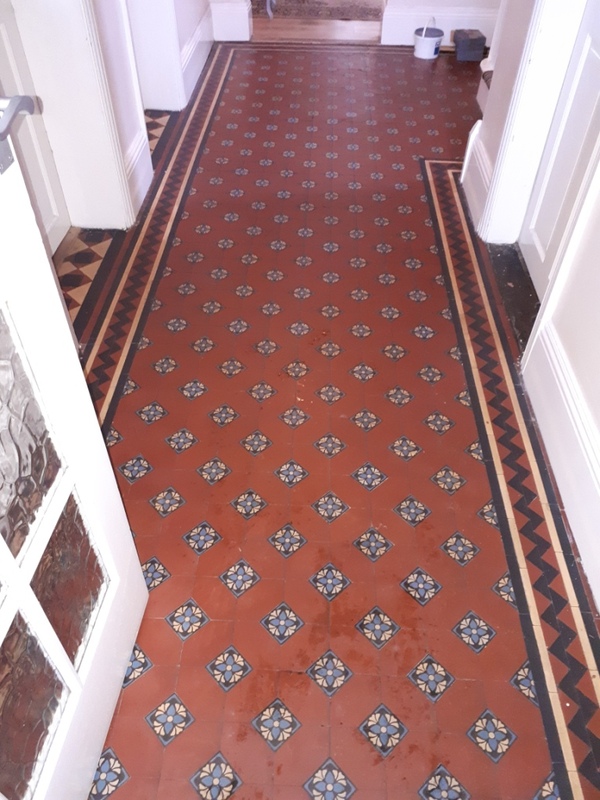 Once the first coat was dry it was followed by the application of six coats of Tile Doctor Seal & Go which is a protective Satin Seal that gives a rich, natural appearance and works really well on Victorian and Edwardian tiles. 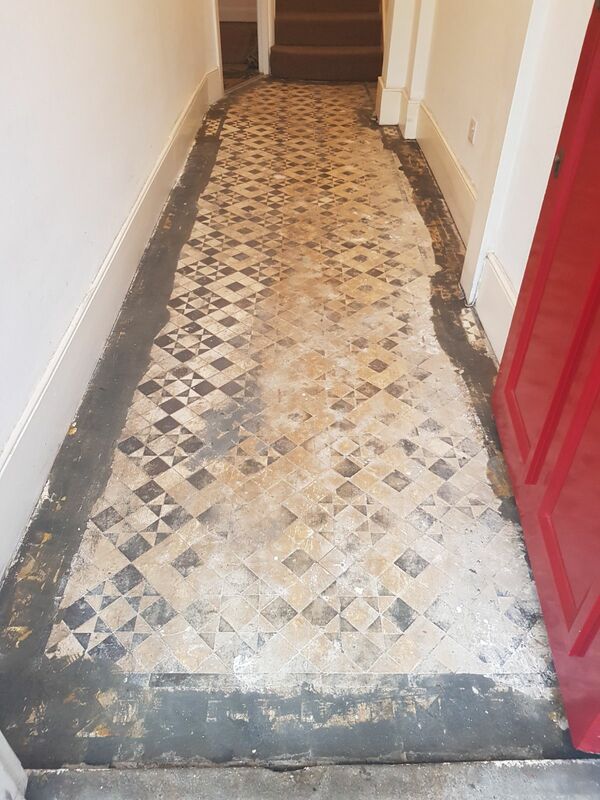 In total the work took four days to complete and we relayed around 450 tiles in the process. 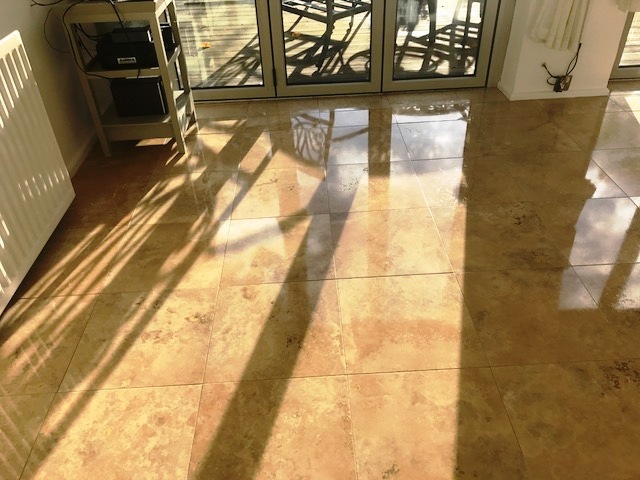 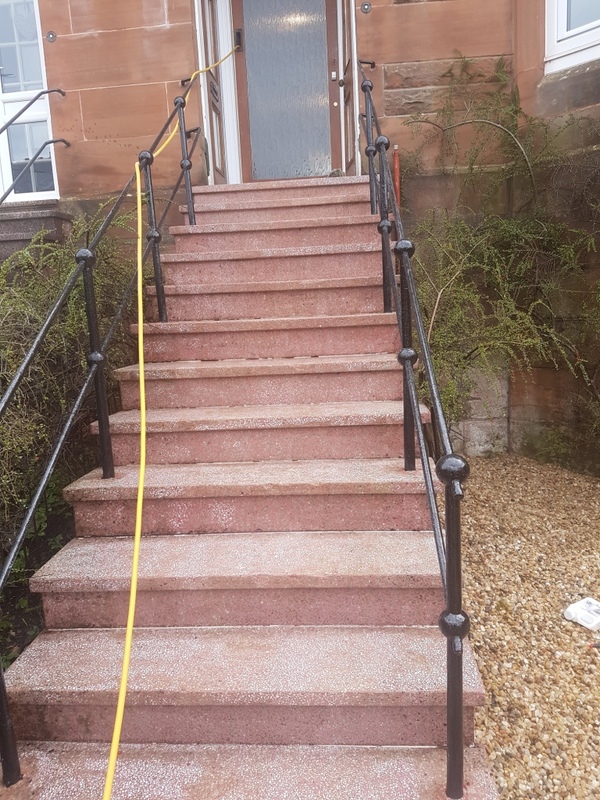 Before leaving we advised our customer on how best to maintain the appearance and increase longevity of the sealer. 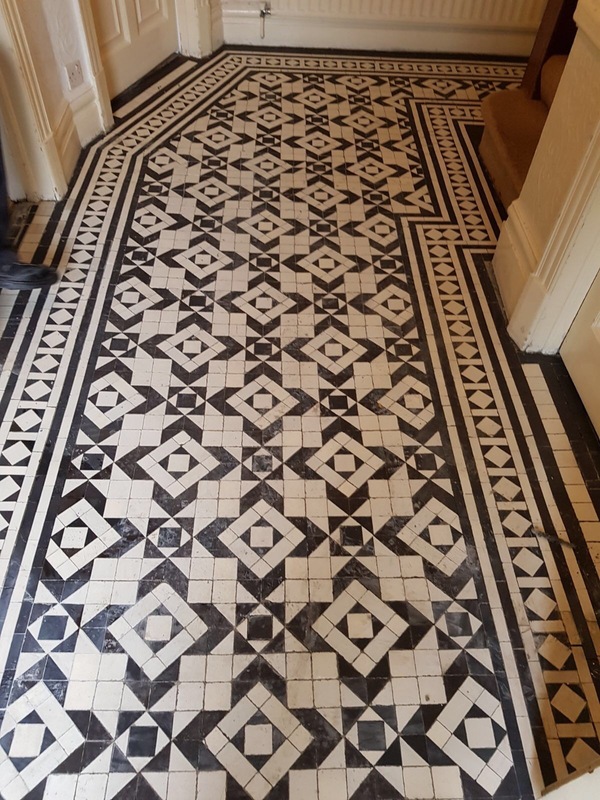 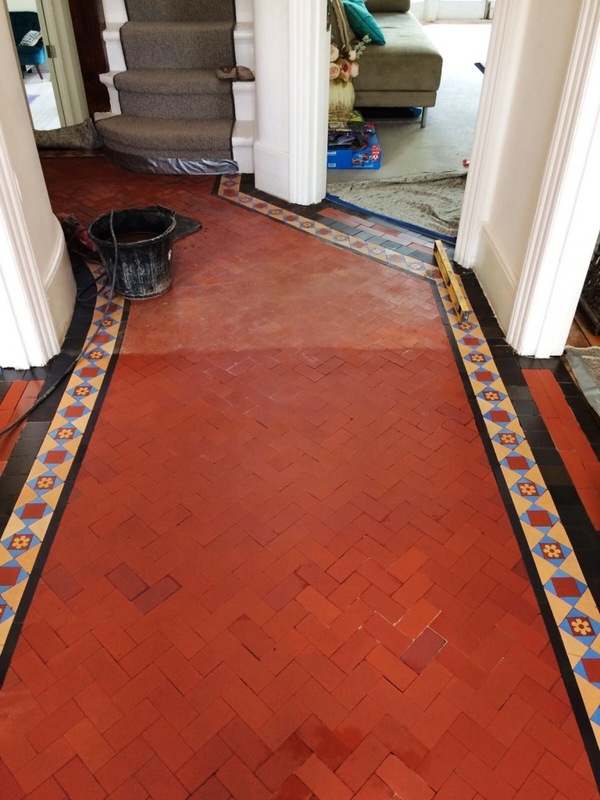 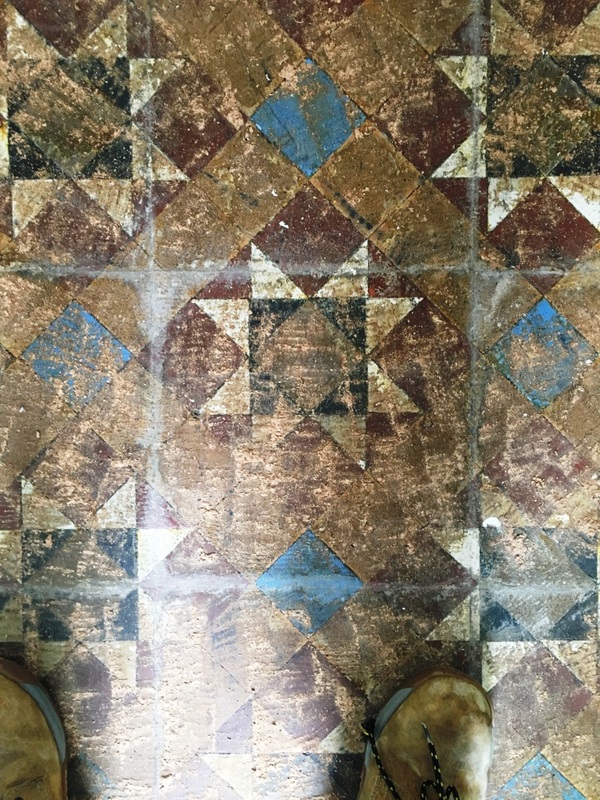 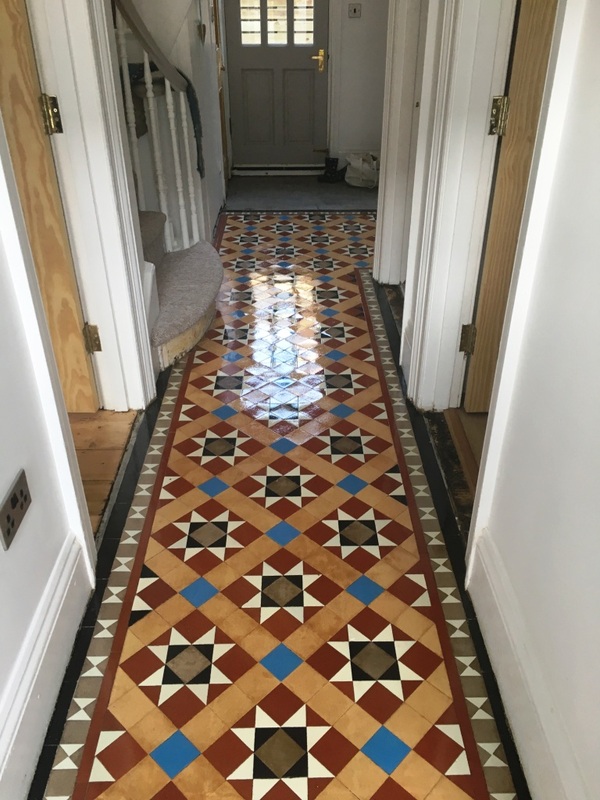 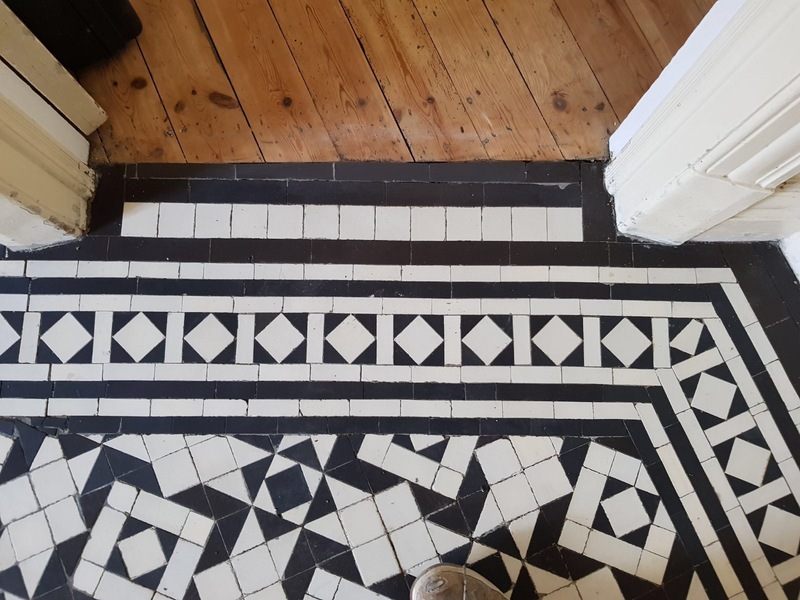 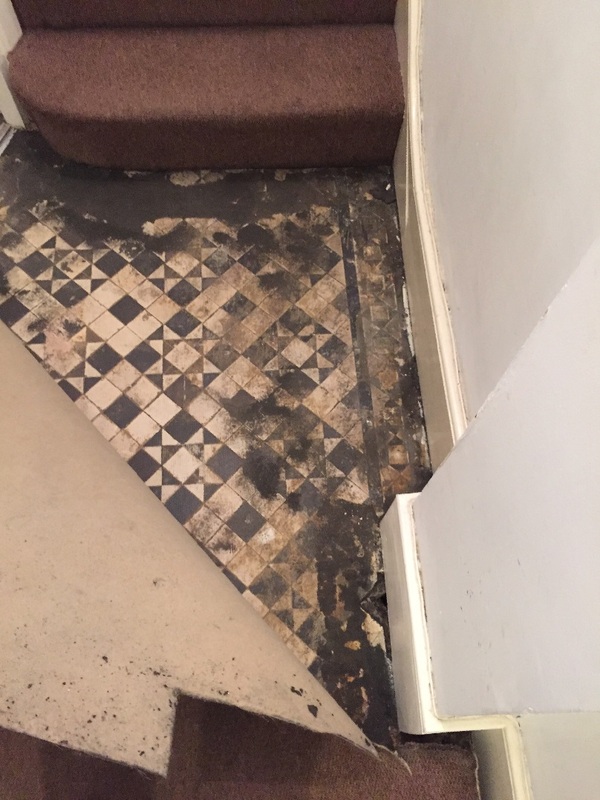 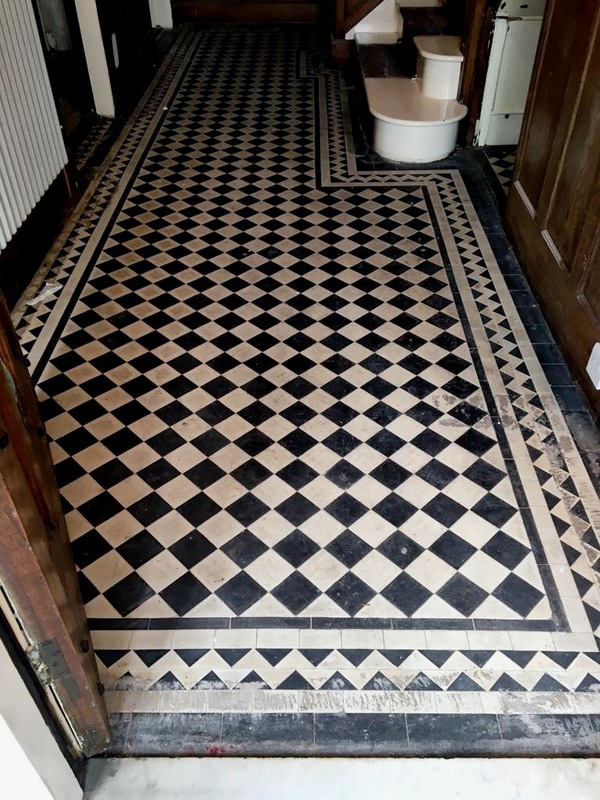 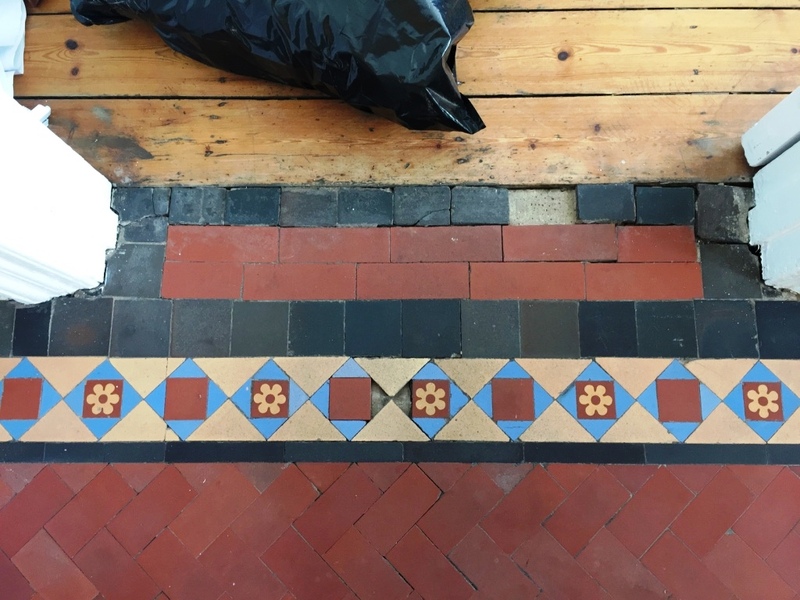 Many property owners who are lucky enough to have an original Victorian tiled floor in their homes face the same conundrum: can an old and potentially very damaged floor be salvaged and restored to peak condition or should I replace it? 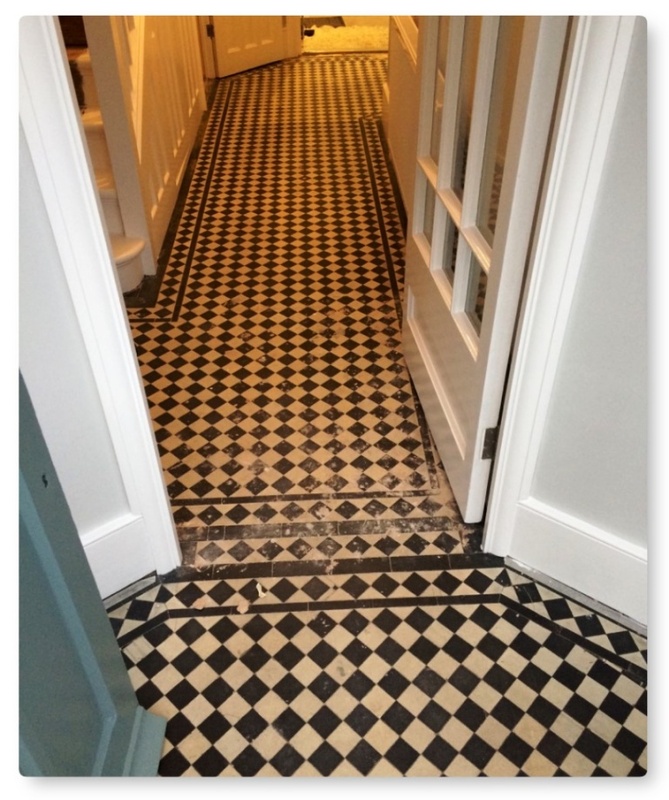 Some people would instinctively tell you that the answer is no – even trained professionals! 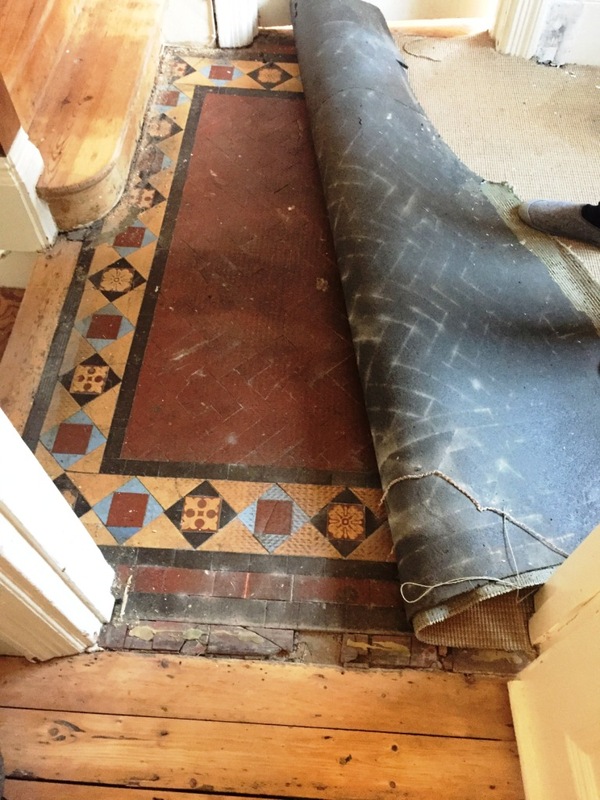 In fact, a leading tile restoration company (which shall remain unnamed) based in Cardiff told a recent customer of mine that her original Victorian tiled floor, dating back to 1905, was beyond repair. 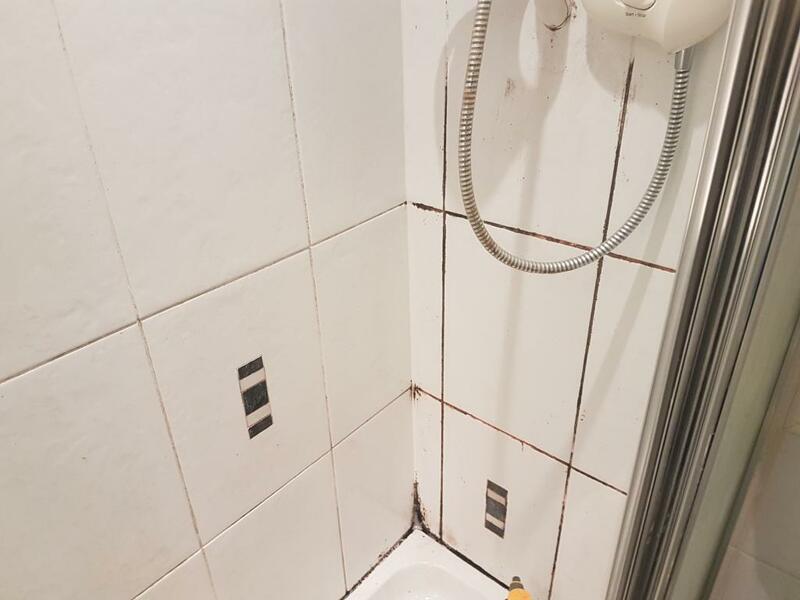 The company recommended that she not waste any money on having it restored and instead that she should have it ripped up and replaced. 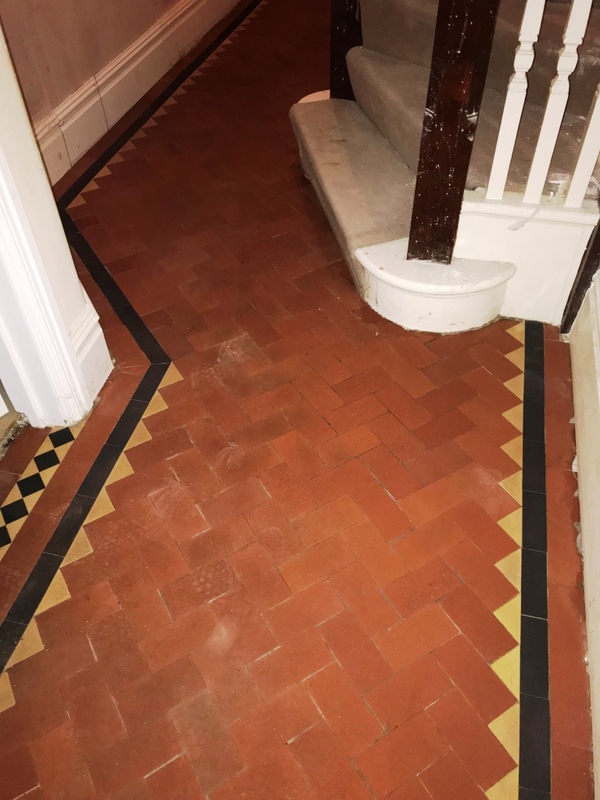 It was in a bad state, however replacing the floor would incur a significant cost and the original characteristics of the period floor would be lost. 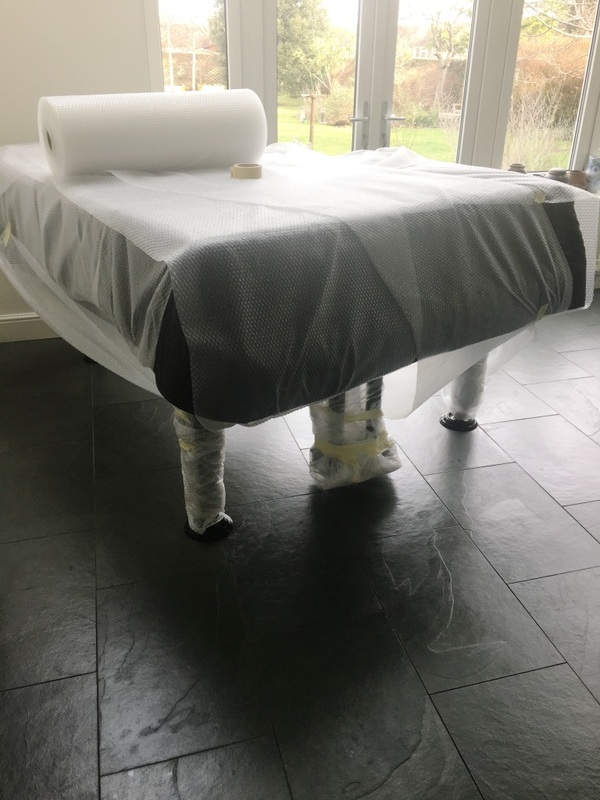 The customer was feeling rather deflated and was left undecided on what to do. 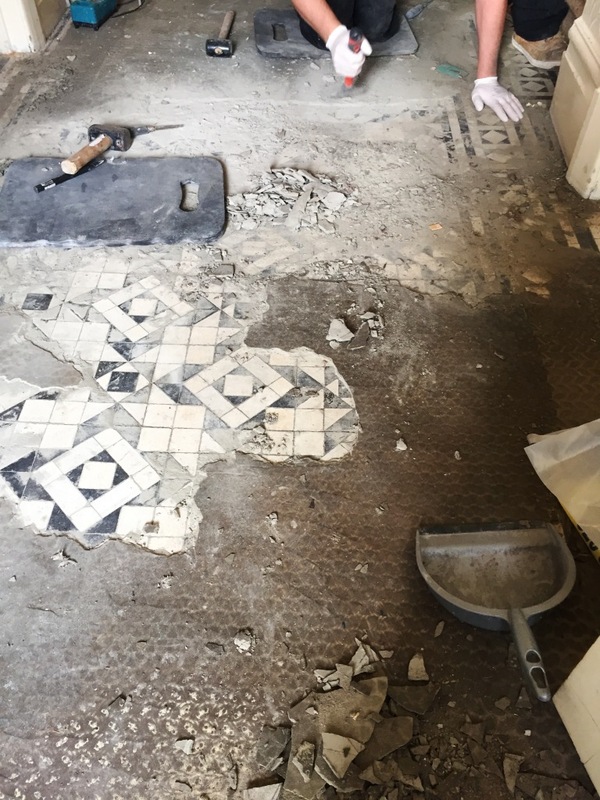 Fortunately after browsing the web for a solution, she came across Tile Doctor and I was asked to pop over and take a look. 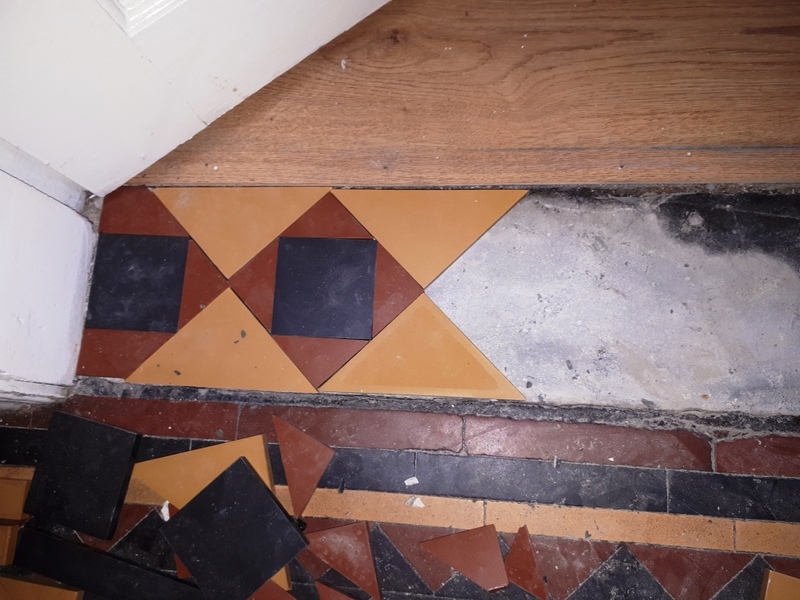 I visited the customer at her home and removed parts of her hallway carpet to get a better look at the Victorian tiles beneath. 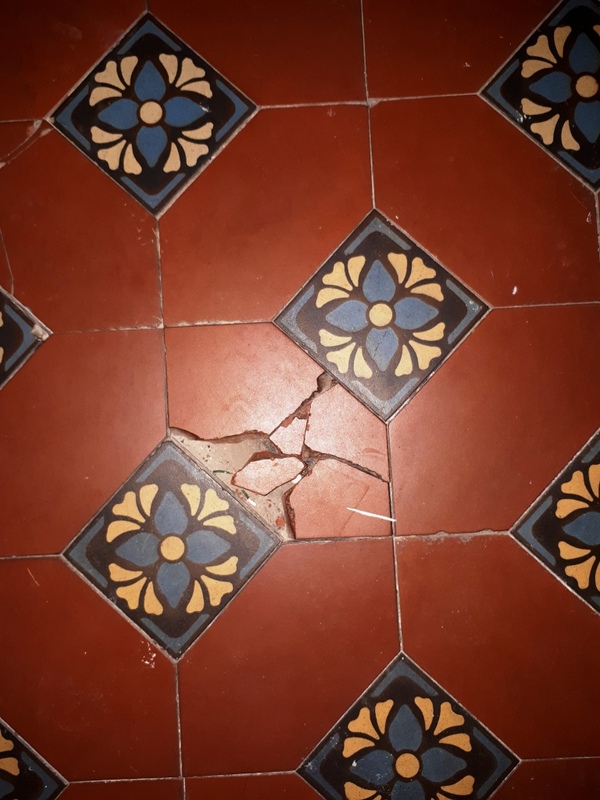 The floor was certainly in a very poor state, there were many old paint splash marks covering the tiles and the surface of the floor was deeply darkened after many years’ worth of wear and tear. 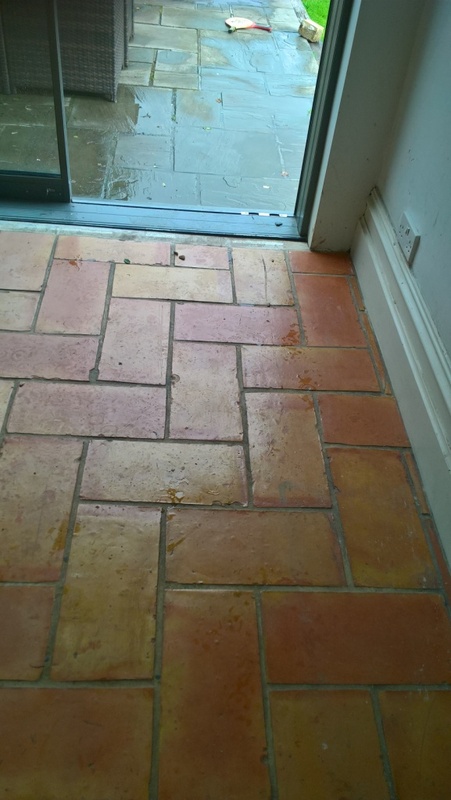 In my opinion however, it was still salvageable, and the customer was happy to see what could be done. 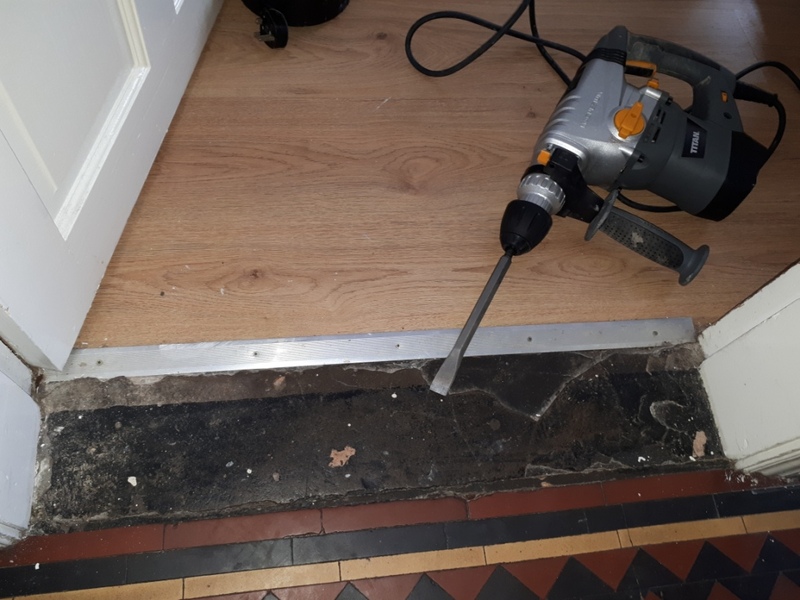 A week before I was due to start the restoration, I asked the customer to remove the foam-backed carpet to let the floor breathe a bit. 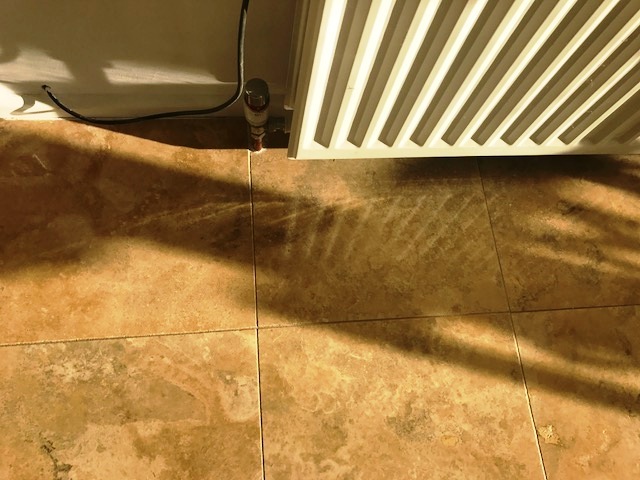 Before beginning the work, I ran a few damp tests and the floor proved surprisingly dry considering how old it is and the very probable lack of a damp proof membrane. 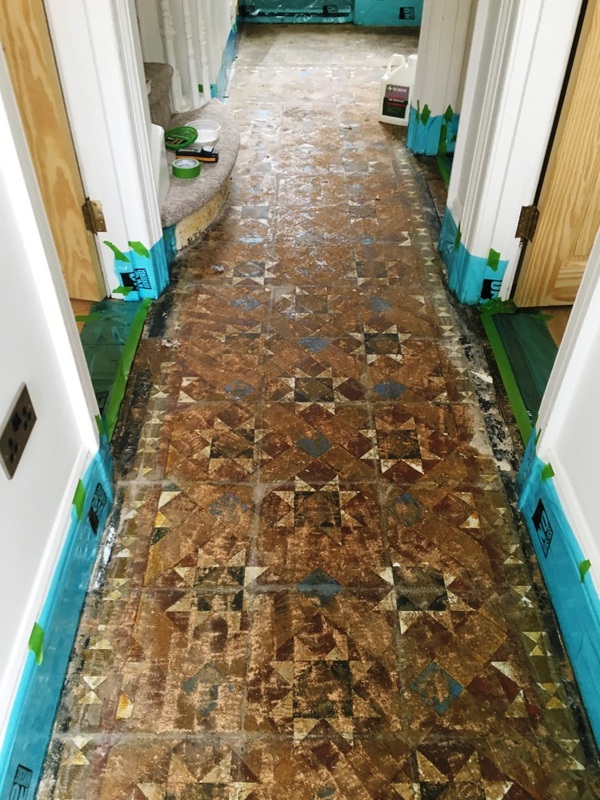 I started by manually scraping as much of the old paint staining off the stone as possible and cleared other debris from the surface. 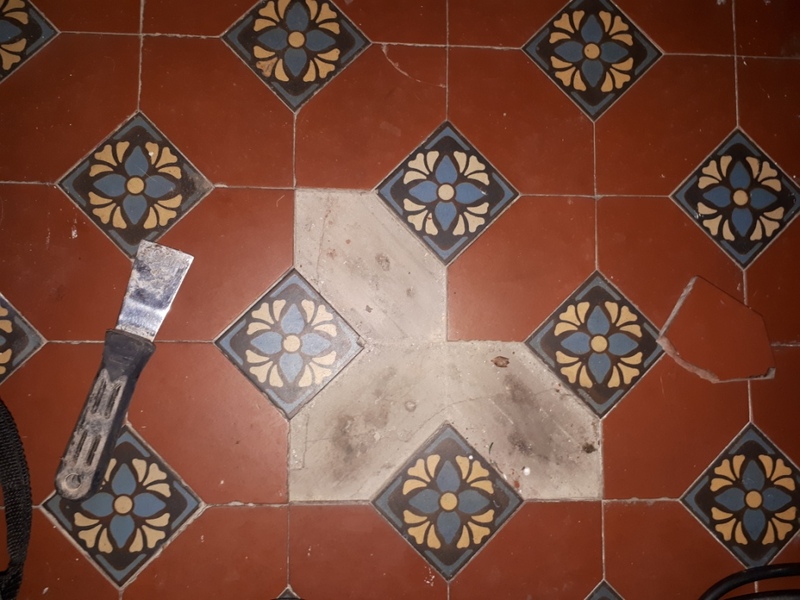 Knowing that clay based Victorian tiles like these easily soak up paint splashes, I knew it would take a thorough clean to remove them completely. 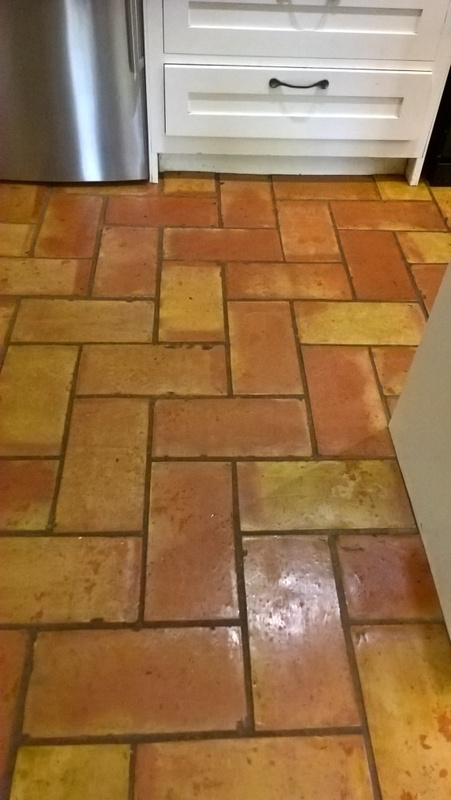 I firstly soaked the floor with water and left it to dry slightly before mixing a concoction of Tile Doctor NanoTech HBU, Tile Doctor Pro-Clean, and Tile Doctor Remove and Go. 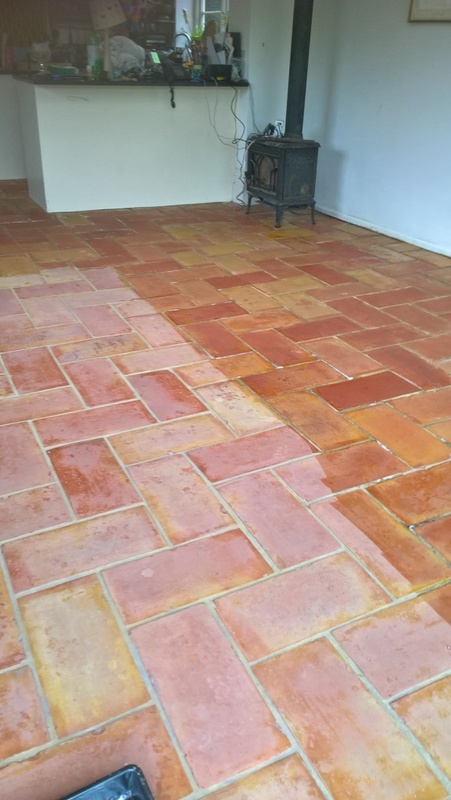 NanoTech HBU is a particularly powerful cleaner which uses nano-sized particles to penetrate the pores of the stone, while Pro-Clean is an alkaline-based cleaner that tackles heavy soil build-up. 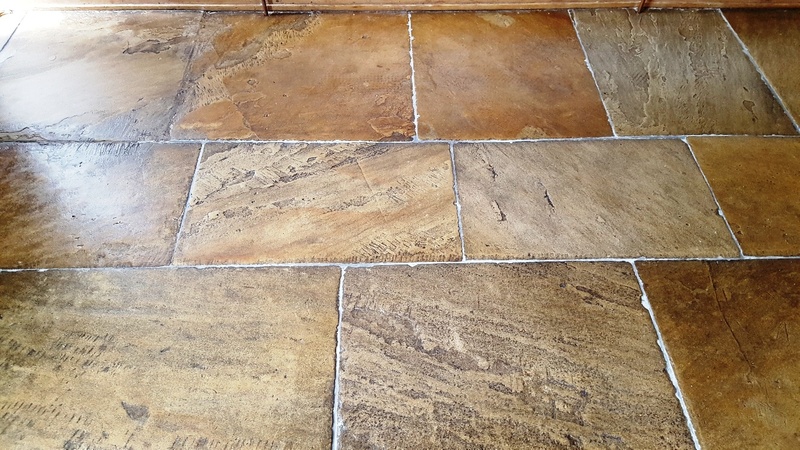 Remove and Go is a multi-purpose product which both cleans and strips away any old sealer. 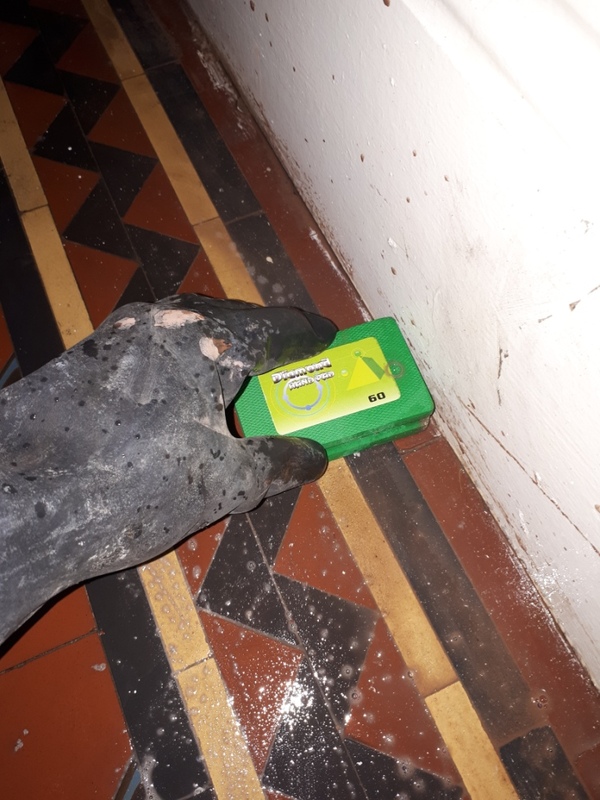 I left this mixture to dwell on the floor for around half an hour, scrubbed it in firstly using a black scrubbing pad fitted to a rotary machine and then a wire wool pad. 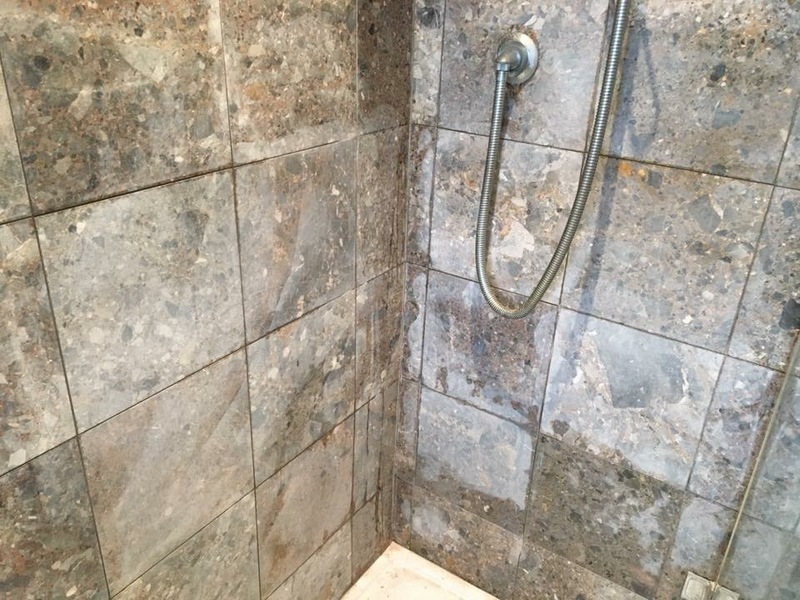 I followed by rinsing the products off with water and extracted up the excess with a wet vacuum machine. 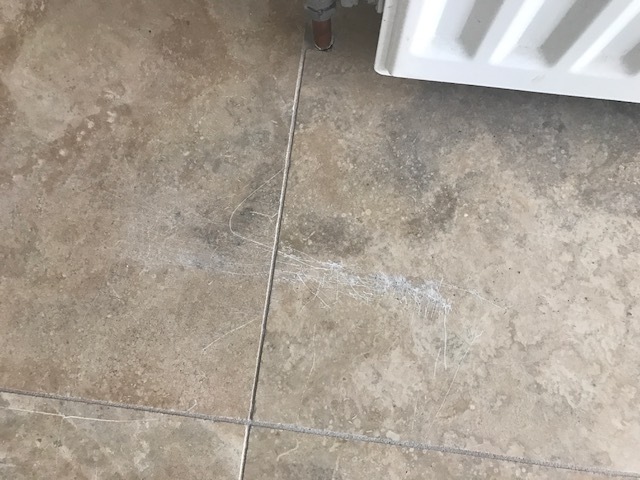 This technique was repeated until I was satisfied with the condition of the floor. 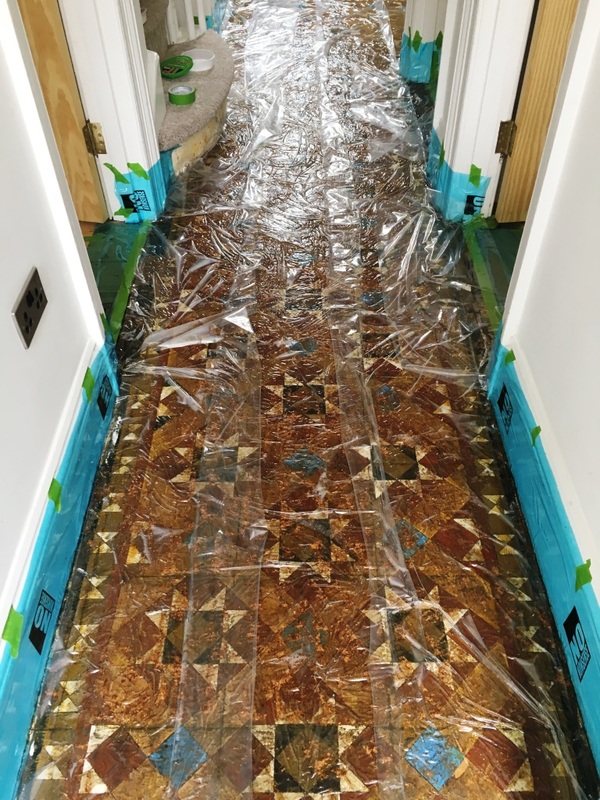 After leaving the floor to dry off completely overnight, I returned to the property the next day to carry out the sealing process. 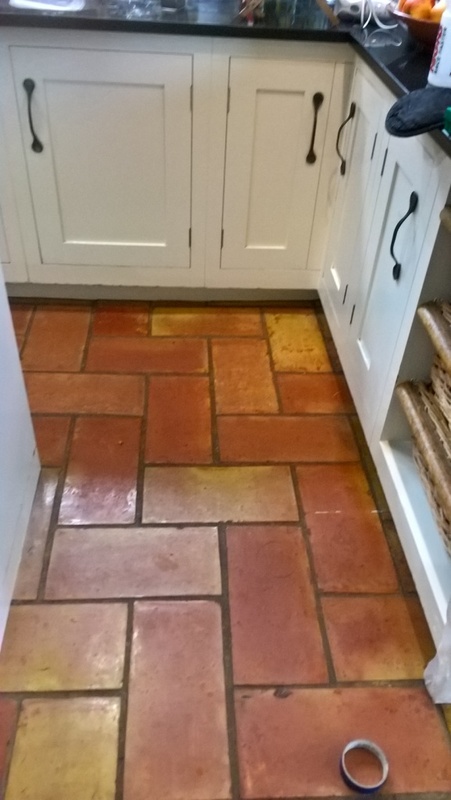 I applied seven coats of Tile Doctor Seal and Go, which not only adds a protective covering to the tile, but also enhances its appearance. 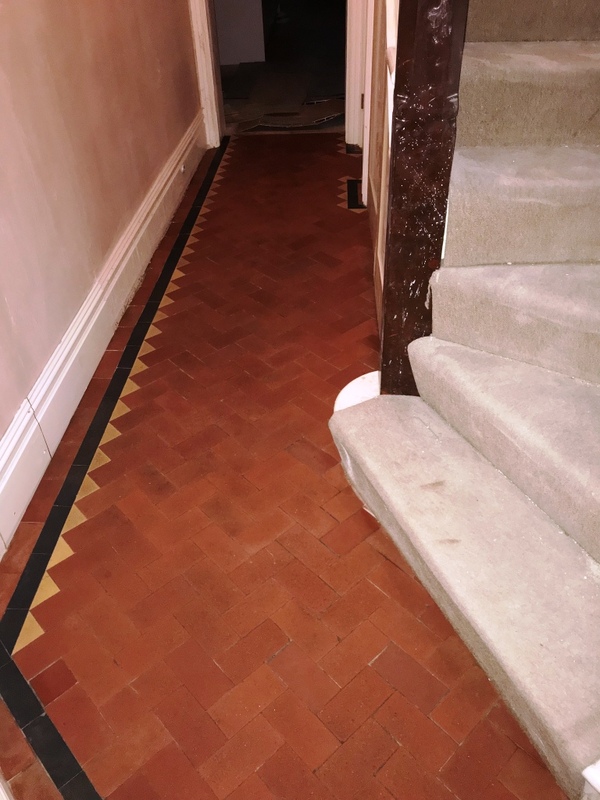 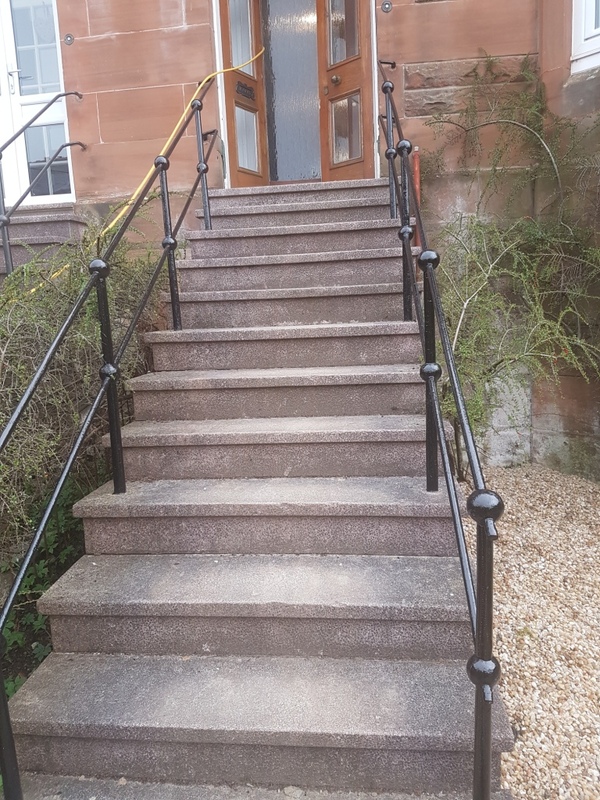 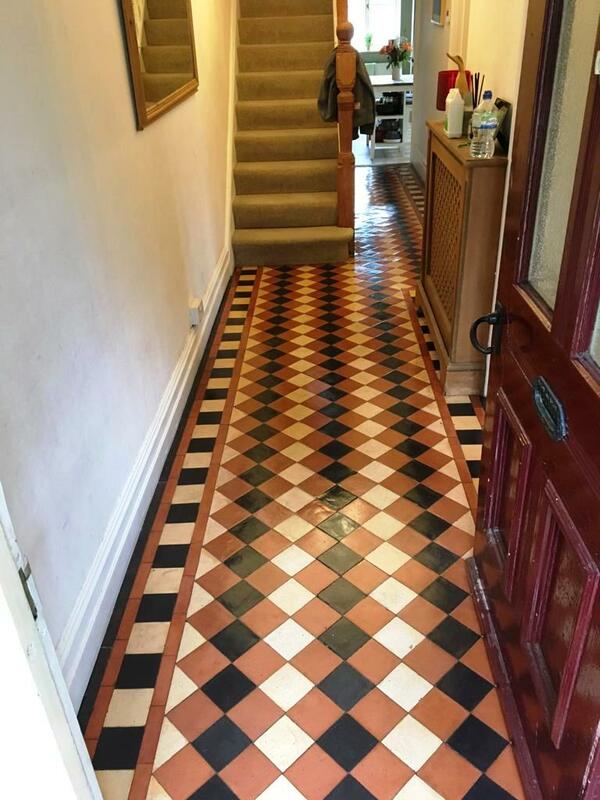 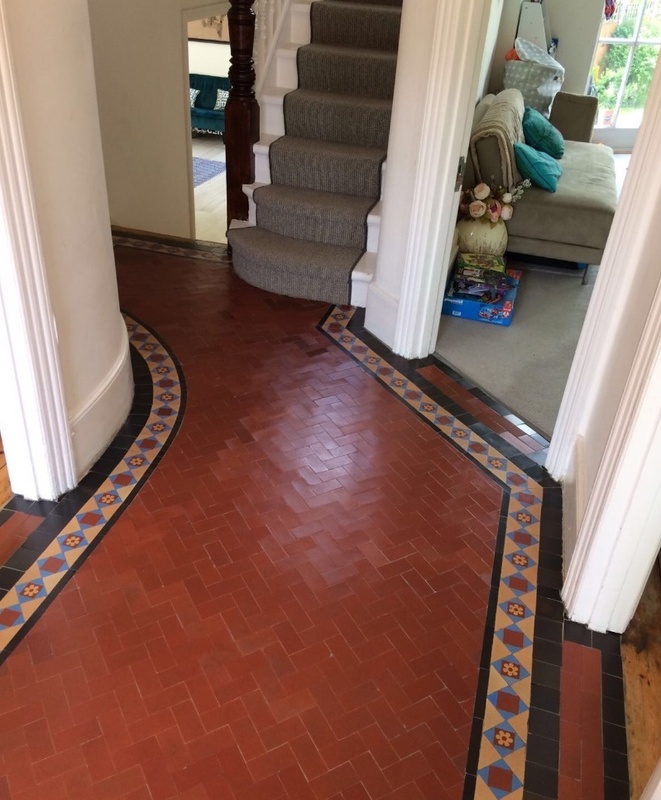 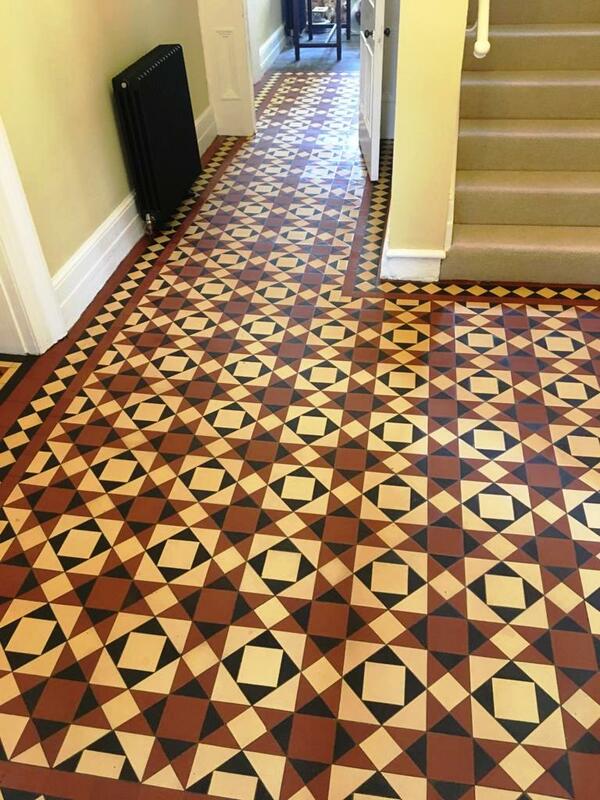 The customer was absolutely thrilled with the results of the restoration, especially considering that she was told the floor was ruined by a leading company and not worth saving. 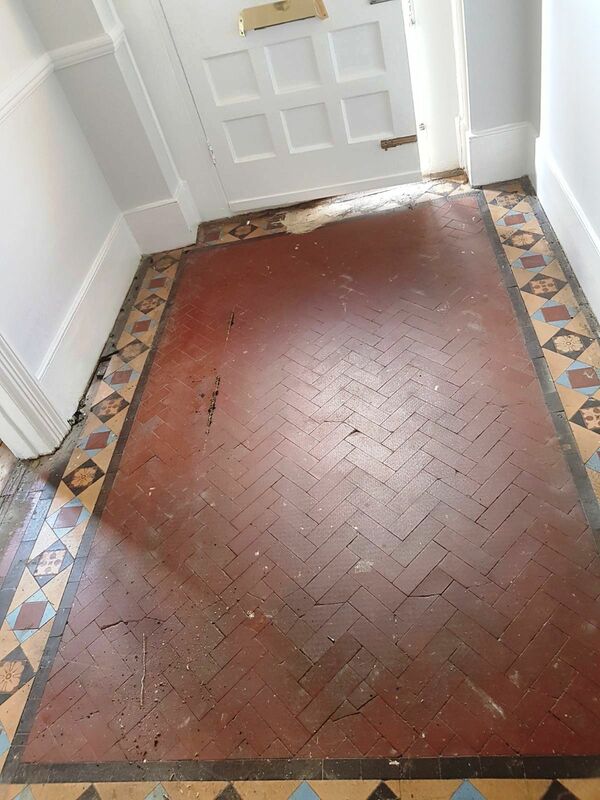 I think you will agree that its always worth trying to restore a period floor and my customer deserves praise for sticking to their guns.